102. 《Report on Examination of Accounting work of Taiwan Aluminum Corporation, Taiwan Alkali Company, Kaohaiung Ammonium Sulphate Works, Taiwan Steel Works, China Texile Industries Corporation, Taiwan Agricultural Chemical Works, Bank of Taiwan, Central Trust of China》 The Accounting Inspection & Directing Group Committee A, Nov. 1954. 141 pages. 103. 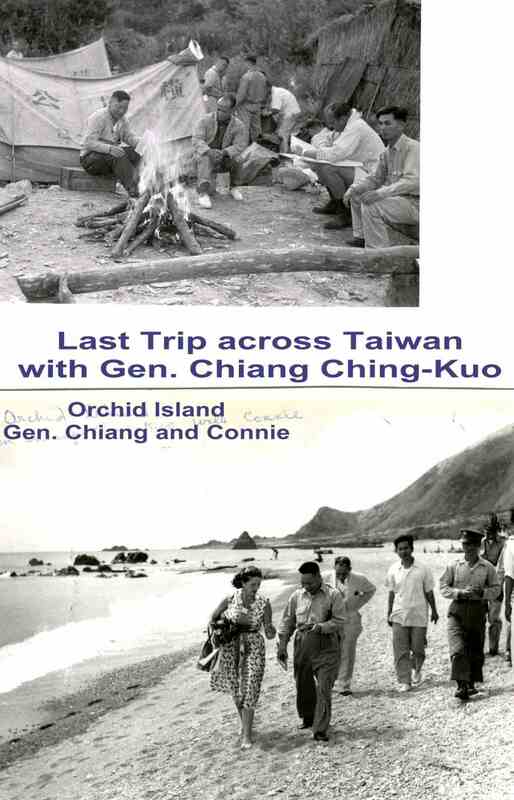 《Report on Research Organization in Taiwan》Office of Assistant Director for Industry ICA, Mutual Security Mission to China, Dec. 1955. 110 pages. 104. 《Narrative Industrial Program Progress Report》 (twelfth issue)United States Foreign Operations Administration Mutual Security Mission to China, Dec. 1954. 406 pages. 105. 《Estimates of Taiwan Gross National Product and national Income》For the Period 1946-1954，ICA Mission to China, Sep. 1955. 135 pages. 106. 《A Review of the Implementation of the Four-Year Industrial Program During the Two and a Half Years Jan. 1, 1953—June 30, 1955》40 pages. 115. 《Friends of China Club’s file》Friends of China Club Bulleten 4 copies. Typhoon 台風（Rotary Club of Taipei）2 copies. Photos 12 pieces（是The Tyal Room）. 5 pages, Jun.28, 1955. The Tyal Room– Friends of China Club 2 copies. The Short Description on Lin Garden, 3 pages. 116. 《Letters from Chinese Friends and others》US Operations Mission to Korea（Moyer）. Dahong Wang. Ta Tung Engineering Co. Hubert G. Schenck.（Smithsonian Institution. A Field Collector’s Manual in Natural History）CAT. University of Michigan Botanical Gardens. Apple Hill Farm. Liang Chi. Connie’s letter. Ernest N. Stanton. Fanny E. Holtzmann. 華新行. Taiwan Aluminium Corporation. Taiwan salt Works. TPC. 120. 《China Post：Exploring Taiwan column》Connie的稿子Exploring Taiwan 3 pages, Lion’s Head Mountain 4 pages, Bunun Country 3 pages, Duck Hunting on Formosa 5 pages, Near by, Easy and Fun 3 pages, Bunun Country 3 pages, How to go about it 6 pages, 無題(描寫南澳附近有3份) 6 pages, Into the Valley of Harapuwan 4 pages, Taiyal Village 6 pages, Young Explorere(4份)) 2 pages, A typical Tayal Village 6 pages, All the Answers 3 pages, A Trip With All the Answers 4 pages, Out for the Afternoon 3 pages, Fairy Cave 4 pages, From Tsaoshan to Peitou by Foot 3 pages, A Memorable Night 3 pages, Chippon Onsen 4 pages, Saissette Country 4 pages, Taiyal Territory 5 pages, As it could be 4 pages, The Bunun Tribe 3 pages, A Sunday Hike 3 pages, Taiyal Territory(part 4) 3 pages, Taiyal Territory(part 3) 4 pages, Taiyal Territory 3 pages, Lion’s Head Mountain (part 3) 3 pages, Lion’s Head Mountain 4 pages, 手稿3 pages，A Ghost Village 5 pages, Kwan Yin Shan 3 pages, A Trip for Armistice day 4 pages, In Babukutsu Valley 5 pages, A Bit of History on the Way to a Hidden Valley 2 pages, As it could be 4 pages, As it could be 3 pages。讀者來信1。《China Post：Exploring Taiwan column》剪報’. 121. 台灣畫刊Taiwan Pictorial(海外版1,2,4,23)，The MAAGazine March 1956，Oct.22,1955 China Post。St. Louis Post(Formosa Pescadores Quemoy Matsu) 有非常寫真的影像。 The KC Wu Story 3 pages. Mrs. Nixon has Busy Day with Ladies Here. Birth(Valerie). Ernest Stantons’ Grandchild Born in Formosa. Mrs. KC Wu. E.N. 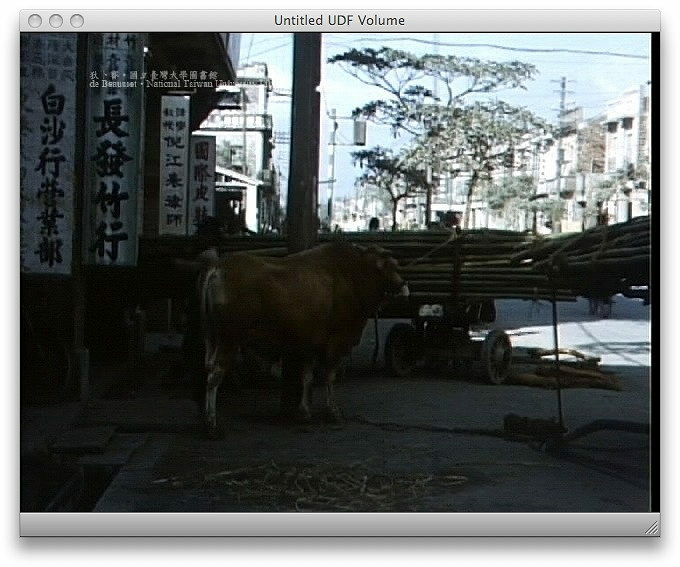 Stantons are Visiting in Formosa(Mar.13 1952). Ernest Stantons. 123. 《》Program(Dec. 18 1951). Women’s Club Meeting(Mar. 25 1952) 5 pages. Religions in Taiwan 6 pages. Chinese Wedding 10 pages. Ike Bana 9 pages. Costume 16 pages. Coral 5 pages. 124. 《》Dec. 15 1954. Letter from Hong Kong (The New Yorker). 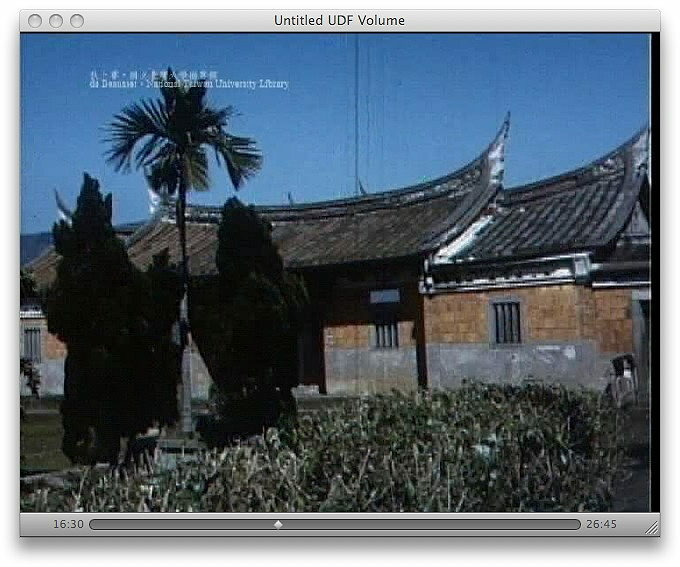 獅頭山勸化堂沿革,開善寺獅巖洞海會庵。 Brief History of ‘Huan Hua Tang’ Monastery. 基督教門諾會互助促進會. Our Far-Flung Correspondents It’s not Home. Chiang’s 68th Birthday. American Women in Formosa Market. Mrs. de Beausset at work. 127. 《Overall Direct and Indirect Effect of U.S. Aid》by deBeausset Feb.18, 1954, 6 pages. 129. 《Technical Assistance Project History & Analysis Report》from USAID/C Taipei to DOS(國務院Department of State) Sep.22, 1964. 25 pages. 130. 《Report on Industrial Reparations Survey of Japan to U.S.》Overseas Consultants. Inc. Feb. 1948. p1~16. 132. 《Assignment in Formosa》American Forests, Nov. 1954. 12 pages. 133. 《Itinerary for the Evaluation Team》Nov.15-18, 1956. 3 pages. 135. 《A Brief Statement of Taipei Workshop Taiwan Railway Administration》Oct. 1956. 12 pages. 137. 《Aid to Private Industry, Your letter MC-3797》 6 pages. 139. 《Coal Requirement for years 1956 to 1960, inclusive》Apr. 26, 1956.2 pages. 141. T.C. Pan《A General Study of Financial Conditions of the Public Enterprises 1952》 39 pages. 142. Tchen Ni-Kia《The Most Economical Way of Urea Production》Mar. 1957, 33 pages. 143. FED,IDC《A First Estimation of the Source of Capital for the Implementation of the 1957-1960 Industrial Program》 Nov. 1955. 4 pages. 144. FED,IDC《Projection of the 1957-1960 Industrial Program》 Aug. 1955. 4 pages. 145. 《Comments on the ‘Projection of the 1957-1960 Industrial Program”in 57th IDC meeting》 Dec. 28, 1955. 2 pages. 146. 《Joint Trip Report—Assistance to Oversea Chinese in Their Participation of Country Economic Development Programs》May 16, 1957. 2 pages. 147. 《A Discussion of the Progress of Industrialization of Taiwan》Draft, Feb. 7, 1955. 11 pages. 149. Charles H. Barber《Developing Taiwan’s Export Trade》Feb. 9, 1957, 6 pages. 150. 《Annual Report on Industrialization in Taiwan》 from Embassy Taipei to DOS DC. Apr. 13, 1956. 21 pages. 151. 《Summary of Comments from Different Sources on ‘Review of Textile Industry’》12 pages. 152. 《Preliminary Draft Industrial Program FY1953 Through FY1955》Jun 11, 1952. 23 pages. 154. 《Industrial Mobilization in Formosa》May 28, 1952, 16 pages. 155. 《Outline of a Project for the Erection of an Automobile Factory by the Combined Service Forces》Jun. 27, 1952. 9 pages. 156. 《Restatement and additions to the Coal Geologist’s memorandum repport of January 16, 1957 on Taiwan Coal Reserves.》Max L. Troyer—R.Y. Grant(ADI) to V.S. de Beausset May 23, 1957. 2 pages. 157. 《Taiwan Coal Reserve Re-estimation, a CEI Sub-project》Jun 18, 1957. 8 pages. 158. Ruth Yao《Shadow Play》 Sep. 3, 1954. 2 pages. 159. Ruth Yao《Eve of the Year》 Jan. 22, 1954. 2 pages. 160. 《God of Longevity》 5 pages. 162. 《A New Emphasis on Economic Development Abroad》 The International Development Advisory Board, Mar. 1957, 18 pages. 163. 《Report to The Present》 by The Present’s Citizen Advisers on the Mutual Security Program, Mar. 1, 1957, 36 pages. 164. Stanway Cheng《Report on Southeast Asia》 China News & Publication Service,Ltd. May 1957, 46 pages. 165. 《Introducing the Members of the Japanese Trade Mission》Oct.-Nov. 1958, 12 pages. 166. 《Address by the Honorable Heitaro Inagaki》 The Japan Trade Mission to the US, Nov. 7, 1958, 4 pages. 167. 《Time》『Formosa』Apr. 18, 1955, p20-23. 168. 《Chiang—Our Embattled Ally》 reprint from Life, Oct. 6, 1961, 8 pages. 170. W.P. Downey《New Construction Methods Adopted by Chinese Petroleum Corporation》 3 pages. 173. 《DFS Projects of the 26th Arsenal, Prod. Svc., CSF》Dec. 1, 1956, 2 pages. 174. 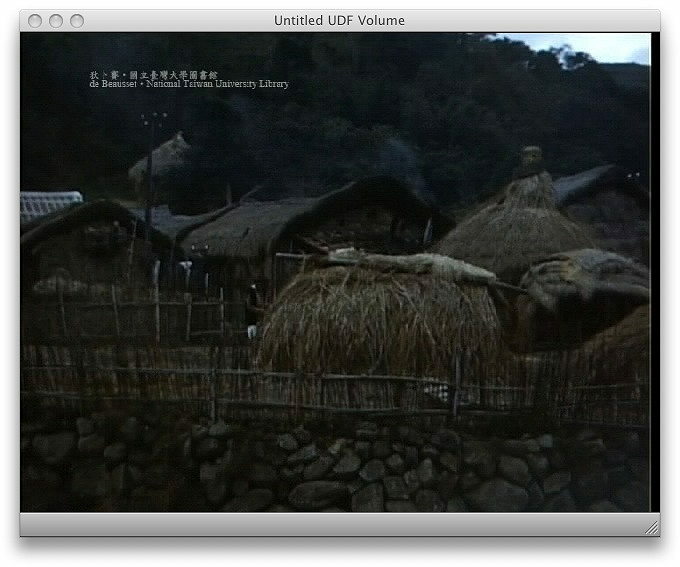 《Taiwan》『Aborigines』Jan. 1957, 12 pages. 175. 《Brief Description of the Ta Tung Engineering Co., Ltd.》 2 pages. 176. 《Burma’s Worsening Economy》Jun. 30, 1956, p7-8. 177. 《財政經濟月刊》1956/8. Vol.6 No.9.內『依賴心理的一例』翻譯成英文（An Example of the Psychology of Dependence） Aug.15 1956, 2 pages. 179. 《Food Production and Administration in Taiwan》The Scientific Monthly, May 1952, p253-268. 182. 《Newsweek》 Jul. 10, 1967. 183. 《Science》 『Foreign Aid and Agricultural Science』Feb. 28 1958. p457-461. 184. 《Chemical Processing》『Aid to under-Developed Countries』Jun. 1957.p233. 185. 《Congressional Record–Senate》Feb. 7. p 1550-1556. 188. 《Cotton Mills of the Taiwan Industrial and Mining Corporation》 TA 23.1, Mar. 24, 1952. 18 pages. 189. 《Cotton Textile General—Development of Cotton Spinning in 1951. Firm Plans for 1952 and Prospects for 1953》TA 23.2.1 Apr. 10 1952. 2 pages. 190. 《Cotton Textile General》TA 23.2.1 Apr. 22 1952. 3 pages. 191. 《Production of Cotton Yarn and Spindles in Operation, First Half of Calendar Year 1952》TA 23.2.1 Jul. 25 1952. 4 pages. 192. 《Cotton Textile General—Prices Paid for Commission Spinning of 20/1 Yarn》TA 23.2.1 May 1 1952. 6 pages. 193. 《》TA 23.1 Aug. 4, 1952. 3 pages. 194. 《》TA 23.1 Aug. 6, 1952. 3 pages. 195. 《》TA 23.1 Aug.14, 1952. 3 pages. 196. 《Flannel》TA 23.1 Aug.27, 1952. 2 pages. 197. 《Kahki Cloth》TA 23.1 Sep.8, 1952. 2 pages. 198. 《Report on Quality of Cotton Received in Taiwan. Purchased by Chinese Technical Mission.》TA 23.2.1 Aug.20, 1952. 12 pages. 199. 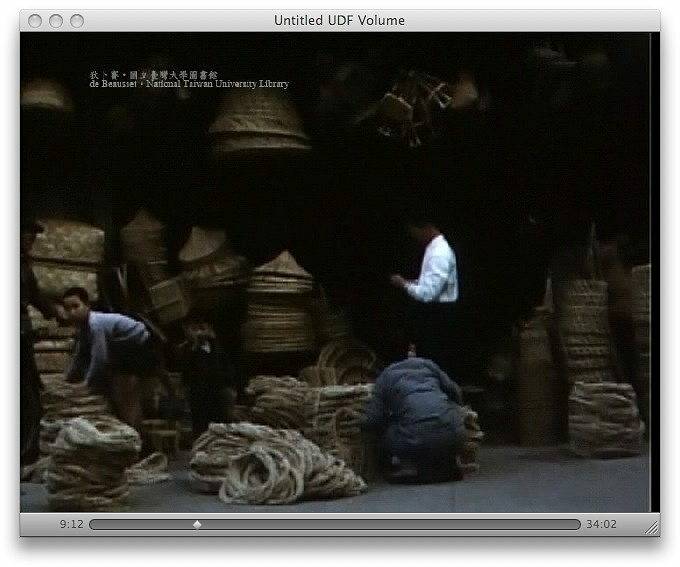 《Yarn Testing—Taiwan Provincial Government Department of Reconstruction》TA 23.2.1 Sep.9, 1952. 1 page. 200. 《Uniforms and Beddings》 MA 20. Nov. 3,1952. 14 pages. 201. 《Consumption of Cotton and Cotton Products in the First Six Months of 1952.》TA 23.2.1 Sep.23, 1952. 11 pages. 202. 《Status of Weaving and Yarn Production Facilities I Taiwan》TA 23.2.1 Nov.8, 1952. 6 pages. 203. 《Yarn Testing—Progress and Lack of Progress in Yarn Improvement and Trade Practices.》TA 23.2.1 Dec.5, 1952. 3 pages. 204. 《Price Relationship of the Raw Cotton and Cotton Yarn Generation of Sales Proceeds from the Cotton Textile Business.》TA 23.2.1 Dec.18, 1952. 6 pages. 205. 《Final Report on Machinery, Accessories and Supplies Covered by P/A 6576— FY1951 Supplemental Program—US$200000.00》 MSA 21.0.1 Dec. 30, 1952. 6 pages. 206. 《Textiles General—P/A6576—US$200000 Fy1951 for Textile Mechinery and Parts》ECA 21.0 Nov. 20, 1951. 9 pages. 207. 《Consumption of Cotton and Cotton Products 1952》TA 23.2.1 Mar.4, 1953. 7 pages. 208. 《US$ Cost of Cotton Textile Imports in 1952 Foreign Exchange Savings and Possible Foreign Exchange Savings》TA 23.2.1 Mar.21, 1953. 9 pages. 209. 《Cotton Textiles General Forecast of Spindles in Operation for 1953— Production Capacity on Two Shift, 20 Hour Operation—Stocks of Cotton Needed.》TA 23.2.1 Jan.26, 1953. 6 pages. 210. 《Protective Tariff Rate for Cotton Yarn》TA 23.2.1 Feb.2, 1953. 6 pages. 211. 《Cotton Textiles General Development of Good Weaving Capacity in Combined Spinning and Weaving Mills》TA 23.2.1 Apr.27, 1953. 30 pages. 212. 《Textile Industry General Changing Conditions in Weaving Business》TA 23.1 Apr.28, 1953. 3 pages. 213. 《Yarn Testing》TA 23.2.1 May 4, 1953. 2 pages. 214. 《Hwa Nan Cotton Mill》MSA 21.1.1 May 16, 1953, 7 pages. 215. 《Development and Use of Storage Facilities at Spinning Mills and Contract Dealing between CUSA and Cotton Spinners under the Decontrol Program》TA 1.2.3 Jun. 2, 1953, 3 pages. 216. 《Cotton Textiles General Possibility of Converting Egyptian Cotton Acquired by Sugar Barter into 30/1 Yarn for Export to Pakistan to Barter for more Cotton》TA 23.2.1 Jun. 13, 1953. 9 pages. 217. 《》MA-20 Jun. 23, 1953, 2 pages. 218. 《Cotton Quality》TA 23.2.1 Jul. 3, 1953. 4 pages. 219. 《Draft of Proposal for Procurement, Production and Delivery of Military Uniform Fabric by CTC》 Aug. 1, 1953, 3 pages. 220. 《Cotton, Raw–Procurement》TA 23.2.4 Aug. 21, 1953. 4 pages. 221. 《De-control of Cotton Spinning—Report of Developments》TA 23.2.1 Aug. 25, 1953. 5 pages. 222. 《Cotton Raw, Procurement and Stock Position》TA 23.2.4 Oct. 16, 1953. 3 pages. 223. 《Cotton, Raw, Handling and Warehousing》A 23.2.4 Dec. 10, 1953. 2 pages. 224. 《Consumption of Cotton and Cotton Textiles 1953》A 23.2.1 May. 14, 1954. 7 pages. 225. 《US$ Cost of Cotton Textile Imports in 1953 Foreign Exchange Savings and Possible Foreign Exchange Savings》A-23.2.1 May. 13, 1954. 9 pages. 226. 《Pre-project Data Submitted by Yung Shing Industrial Company—Taiwan Machine Works》MSA-28 Jan. 5, 1954, 3 pages. 227. 《A Project of Self-Reliance in Textile Machinery and its Spare Parts–Yung Shing Industrial Co.》MSA-28 Feb. 2, 1954, 2 pages. 228. 《Field Trip—Taiwan Canvas Company #93,Section 2, Roosevlt Rd., Taipei》 MSA-21.2.11 Mar. 2, 1954, 5 pages. 229. 《Field Trip—Pan Chao—New Taiwan Spinning, Weaving, Dyeing and Finishing Co.》TA-23.2.2 Apr. 2,1954, 1 page. 230. 《》TA-23.2.2 Apr. 2,1954, 3 pages. 231. 《9 Items of Medical Supplies and Equipment》MA-13.2 Apr. 19, 1954, 10 pages. 232. 《9 Items of Medical Supplies and Equipment(Bandages and Face Masks. )》MA-13.2 Apr. 21, 1954, 2 pages. 233. 《Cotton Marquisette for the Manufacture of Mosquito Nets by OQMG》MA-20 Sep. 23, 1954, 7 pages. 234. 《Military Uniform Fabric (HBT)Produced in Taiwan Costs Savings Effected》MA-20 Dec. 21, 1954, 7 pages. 235. 《Consumption of Cotton and Cotton Textiles 1954》TA-23.2.1 Feb. 14,1955, 12 pages. 236. 《US$ Cost of Cotton Textile Imports in 1954》TA-23.2.1 Feb. 26,1955, 11 pages. 237. 《Mosquito Netting–Military》MA-20 Jan.5, 1955, 8 pages. Report III-83. 238. 《Doup Heddles Equipment for Trial Production of Mosquito Netting by Dah Ching Cotton Mill》TA-23.1.6 Feb. 23,1955, 1 page. 239. 《Cotton Textiles General》TA23.2.1 Nov. 15, 1955, 4 pages. 240. 《Cotton Waste—Recovery of Useable Fibre》TA 23.2.1 May. 26, 1952, 5 pages. 241. 《》TA-23.4.1 Oct. 1, 1951,2 pages. 242. 《Ramie, Jute and Hemp–General》TA-23.4.1 Jan. 11, 1952,2 pages. 243. 《Jute and Jute Products》ECA-6 ECA-21 Mar. 15, 1952, 15 pages. 244. 《Jute Mills–General》TA 23.4.1 Jun.19, 1952, 2 pages. 245. 《Comments on Memorandum from Agricultural Improvement Division of JCRR on the Establishment of a new jute mill by a private concern》TA 23.4.1 Jute General Jun.27, 1952, 6 pages. 246. 《》TA 23.4.1 Jute General Jul.17, 1952, 4 pages. 247. 《1952 Crop—Jute—NT$ Difficulties》TA 23.4.1 Sep. 8, 1952, 4 pages. 248. 《Proposals of Adriano Gardella & F. Ltd. to revamp Feng Yuan and Tainan Jute Mills 》TA 23.4.1 May. 12, 1953, 2 pages. 249. 《Jute, Retting》TA 23.4.1 Oct.18, 1954, 2 pages. 250. 《Field Trip Report》MSA-21.3.1 TA-5.9.3 Feb. 18, 1955, 2 pages. 251. 《Final Report Kung Lien Cheng Jute Mill–Hainying》MSA-21.3.1 Feb. 23, 1955,9 pages. 252. 《Jute Mill—Program of Improvement》TA-23.4.2.3 Oct. 6, 1955, 6 pages. 253. 《Proposed Rayon Factory》TA 23.6.1 Nov. 28,1952, 4 pages. 254. 《Rayon Factory—Other Proposals Projects A,B, and C》A 23.6.1 May. 12,1953, 4 pages. 258. 《Union Industrial Research Institute聯合工業研究所》Dec. 1955, 40p. 259. 《China Merchants Steam Navigation Co., Ltd.招商局》24p. 260. 《General Statistics Production Equipment & Manpower of Taiwan》Sep. 1954, 26p. 262. 《Japanese Farming Methods for China》The Oriental Economist. Feb. 1958. 263. 《Letters》Feb. 1,1959& Mar. 10 1958 Kaohsiung Alkali Plant to de Beausset. 264. 《Taiwan Export》 May 1, 1957, 43p. 265. 《The New York Times》『Free China is Alive and Well』Oct. 1972,39p. 269. 《Bi-Monthly Economic Review》no54. Nov.-Dec. 1956 20p. 270. E.L. Grant《Various Possible Plans for Repayment of Borrowed Money》摘錄 Feb. 9, 1956 Y.S. Sun. 271. K.T. Li《Suggested Measures of Promoting Capital Formation in industrial Development》 Jun. 22, 1955, 4p. 272. 《Taiwan Forges Ahead in Economic Self-Sufficiency》 Mar. 29, 1950, 6p. 273. 《Agriculture and Industry on Island》 4 張卡片. 274. 《Dear John》 Jul. 10, 1952 1p. 275. C.H. Wang《This is Our City》 Jul. 2,1958 5p. 279. 《Quarterly Narrative Report on Program Progress in the Republic Korea》 Sep. 1956, 127p. 280. 《Dear George》 Jun.2, 1958,6p. 281. 《Uniform Inventory Control System》Aug. 13, 1954, 22p. 282. 《TRA Freight Tonnage》 Feb.6, 1954, 1p. 283. 《Chen Cheng to de Beausset》Aug.6, 1958. 284. 《Letter》 Dr. Nick Cullather to de Beausset Jun.6, 1995. 285. 《Criteria Governing Screening of Applications by Government Agencies and Public Enterprises for Exchange Allocation for Imports》 Oct.12,1956, 8p. 286. 《The New Leader》（Communist China）Oct.20,1958,30p. 287. 《de Beausset’s Memorandum》Feb. 5,1958,4p. 288. 《Letter》 George M. Hamilton to de Beausset May.28, 1958. 290. 《Rio de Janeiro》 Jul.5,1957,1p. 291. 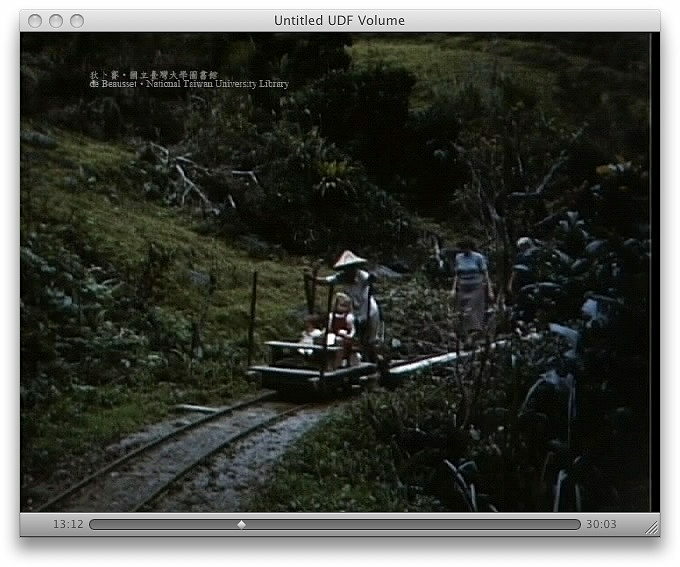 《Lumber Production on Taiwan》1963. 292. 《More Plastics Used in Building》 Aug.26,1963. 1p. 293. 《Sugar Cane Wax》Mar. 16,1959,9p. 295. 《Process for Extraction Sugar Cane Wax》 Mar. 16,1959,2p. 296. 《Freedom is too your Business》 Tolstoy Foundation, Inc. Dec. 1958,16p. 297. 《Letter》 Little to de Beausset Jun.11, 1957,7p. 298. 《Letter》 Nels to de Beausset May.23, 1955,3p. 299. 《Letter》 Buffington to de Beausset Jan.27, 1956,4p. 300. 《Letter》H.R.Shawk to de Beausset Jan.20, 1958. 301. 《Letter》 Kung-Yong Huang to de Beausset Jun.26, 1958. 302. 《Letter》 Phil to de Beausset May.16, 1955,3p. 303. 《Letter》 Jo Scott to de Beausset Feb.3, 1958.3p. 304. 《Letter》 to Frank Turner Jan.16, 1961. 305. 《Letter》 L.V. Jorce to de Beausset Jul.11, 1958.5p. 307. 《Letter》 to de Beausset, 1959. 308. 《Business Week》『The Next Four Years』Nov.10,1956,p31-40. 309. 《Business Week》『U.S. Foreign Aid: Up for Review』Sep.22,1956,p150-54. 310. 《Life Story of Siu, Henry Morse》Oct.15,1956,7p. 312. 《Market Survey—Chinese Products in U.S.》Jan.16,1959,4p. 313. 《Letter》 Walker to de Beausset Mar.31, 1959.4p. 314. 《Letter》 Henderson to de Beausset Aug.18, 1954,3p. 315. 《Letter》 Jon to de Beausset Jun.6, 1961.1p. 316. 《Letter》 Dove to de Beausset May.23, 1961.1p. 318. 《Letter》 Fred to de Beausset Jun.13, 1959.1p. 319. 《Letter》 Library of Congress to de Beausset Nov.29, 1945.1p. 320. 《Letter》 Yung-Ling Ko to de Beausset Apr.25, 1959.3p. 321. 《Letter》 Albrt to de Beausset May.7, 1958.2p. 322. 《Letter》Al Brown to de Beausset Dec.22, 1959.1p. 323. 《Letter》 W.N.Yao to de Beausset Jan.21, 1959.2p. 324. 《Letter》 Shawk to de Beausset Dec.12, 1960.1p. 325. 《Letter》Bruce Buchanan to de Beausset Feb.14, 1961.3p. 326. 《Letter》 Chun-gi Kwei to de Beausset Mar.22, 1958,2p. 327. 《Letter》Grant to de Beausset May.6, 1958.3p. 328. 《Letter》 Chun-gi Kwei to de Beausset Feb.21, 1958,2p. 329. 《Letter》 N.M. Lin & K.C. Yeh to de Beausset Dec.18, 1958,4p. 332. 《Letter》 N.M. Lin to de Beausset Jan.17, 1957,2p. 333. 《Letter》 Sheets to de Beausset Oct.29, 1958,4p. 334. 《Letter》 Joe to de Beausset May.19, 1958,1p. 335. 《Newsweek》『The Ugly Cult』Aug.31, 1959,1p. 336. 《Look》『Our New Western Frontier』May 30,1967,p36-54. 337. 《The Reader’s Digest》『Let’s Stop Sending U.S. Dollars to Aid Our Enemies』Aug. 1963.p71-78. 339. 《Letter》J.L. Brent to de Beausset Aug.19, 1958,1p. 340. 《Review of the Textile Industry: Its Present & Future》IDC, Jan.21,1957,21p. 341. 《Report on Electric and Steel Rolling Industries in Taiwan Based on an Investigation Conducted by IDC》1956,22p. 342. 《Measures to save foreign exchange》YCYen to KYYin Dec.22,1954,7p. 343. 《General Comments on the FY1955 Industrial Program》MSA-7,Jul.6,1954,10p. 344. 《Taiwan Provincial Government Revolving Fund for Private Enterprise》TOMUS D-204, Jun.15,1953,2p. 345. 《TPC》YSSun to de Beausset, CO345 Apr.14,1954,10p. 346. 《Taiwan Industrial Production for 1953》TOMUS D-177,May 14,1953,16p. 347. 《CY-1955 Appendix I,II,III》 May 27,1955,5p. 348. 《Program of the Small Industry Counterpart Loan Fund》Jun.10,1955,12p. 350. 《Projection of the 1957-60 Industrial Program》Aug.,1955,8p. 352. 《Foreign Operations Administration Mutual Security Mission to China Weekly Activity Reports》Feb.15,1954,37p. 353. Auther F. Raper, Han-sheng Chaun, Shao-hsing Chen《Urban and Industrial Survey of Taiwan》Feb.1954,53p. 354. 《Overall Evaluation of Effect—U.S. Aid》Val to Moyer.Feb.20,1954,20p. 355. 《》Val to Martin W. MSA-3,TA-21.12.1, Feb.17,1954,5p. 357. 《PIO/C 60438 Inv. US-178-A East Coast Pineapple Proj.》Dec.13,1956,3p. 358. 《Production Goal of Principal Products and Services under the Four-Year Plan》4p. 359. Yuan-li Wu（Marquette U.） to Val, Jan.22,1958,7p. 360. Yuan-li Wu《Asia’s Trade with the Soviet Bloc and its Impact on the United States》Background Paper No.5, 8p. 361. 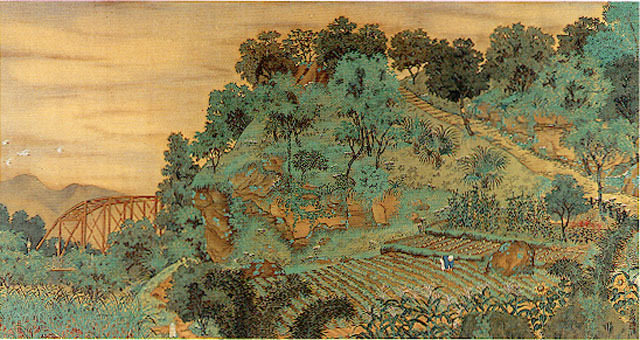 Yuan-li Wu《U.S. Trade with the Asian Countries: Synopsis》Background Paper No.1, 9p. 362. Yuan-li Wu《Asia Trade Aid American Foreign Investment and Technical Assistance Programs》Background Paper No.2, 2p. 363. Yuan-li Wu 《Economic Growth and Foreign Trade of Asia》Background Paper No.3, 2p. 364. Yuan-li Wu《Problems of Marketing Far Eastern Products in the United States with Special Reference to Japan》Background Paper No.4, 3p. 365. 《Conference on American Trade with Asia and the Far East》April 17-18, 1958. 366. 《Newsweek》『A World at Stake』Jan.20, 1958,p53-69. 368. JGW to Yuan-li Wu, Jan.16,1958. 1p. 369. Wang Hsing-fu, Lan Chien-chao《Energetic Development of the Fertizer Industry》 Oct.9,1957,No.109 p25-34. 370. Chi Chung-wei《Industry Should Support Agricultural Development》 Oct.9,1957,No.109 p35-42. 371. 《Economic Boycott Against Japan Continues》Mar. 25,1958,4p. 373. 《Study of Record Under Eiswnhower》The New York Times, Jul.22,1956,1p. 375. 《Processing Diagram》 May 31,1955,5p. 376. 《Melamine and Dynel Plant》IDC esb, Apr.1,1954,10p. 377. 《A Proposal for the Establishment of an Acetate Staple Fiber Plant on Taiwan》Jun 20,1955,5p. 378. 《The Chemical Industry in Relation to Taiwan’s Economy》Oct.8,1954,3p. 379. Jack R. Ryan《Wide Chemistry Use is Seen for Product Long in Oversupply》Sep.20,1954,5p. 381. C.S. Chiang《Report on Plastics Industry in Taiwan》Sep. 1956,24p. 383. 《List of Equipment & Supplies Required by the Hainan Iron Bureau in 1950》Apr.15,1950,17p. 384. 《National Resources Commission of China》New York, Jun 1947. 385. 《Outline of the Agricultural Program of the Second Four-Year Plan for Economic Development in Taiwan (Draft)》Dec. 1956,53p. 386. T.C. Pan《Further Remarks on the Formation of Development Corporation》Oct.5, 1956,4p. 387. 《Formation of Development Corporation》Sep.14,1956,8p. 388. 《Progress of the Small Industry Counterpart Loan Fund》Nov.8,1956,7p. 389. 《Sin Tai Paper Mill—Lotung, and Shin Kuo Carton Factory–Taichung》Dec.11,1956, TA-20.1,4p. 390. 《Distribution of NT Dollar Small Industry Loan Funds According to Industry CEA 54-190, CEA 55-100》8p. 391. 《Distribution of US Dollar Small Industry Loan Funds According to Industry Pa 4272, PIO 50261, PIO 50323》7p. 392. 《Comparison of Productive Capacity, Actual Production, Employment, Power before and after the Small Industry Loan》12p. 393. 《Minister P.Y. Hsu’s Report on Foreign Exchange and Trade Operation in 1956》Mar.8,1957,16p. 394. 《Construction of 3 Cargo Ships for CMSNC》Mar.13,1957,13p. 396. 《Of ECA-Financed Equipment and Material where Chinese Government does Procurement》Aug.31,1951,10. 401. 《Jute and Kenaf fiber Bags》4p. 404. 《Report on By-Product Coke Plant–Taiwan》Jan.9,1957,6p. 405. 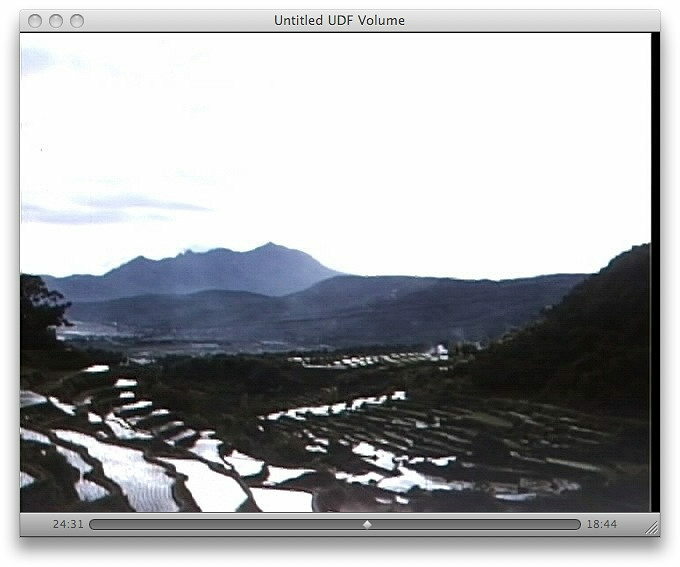 《Review of ‘A Forestry Program for Taiwan’ by H.D. Cochran, E.L. Demmon & Tom Gill》6p. 406. 《Comparison of Targets of Major Industrial Production, Transportation and Communication Services with Actual Performances During 1956》Mar.9,1957,5p. 407. 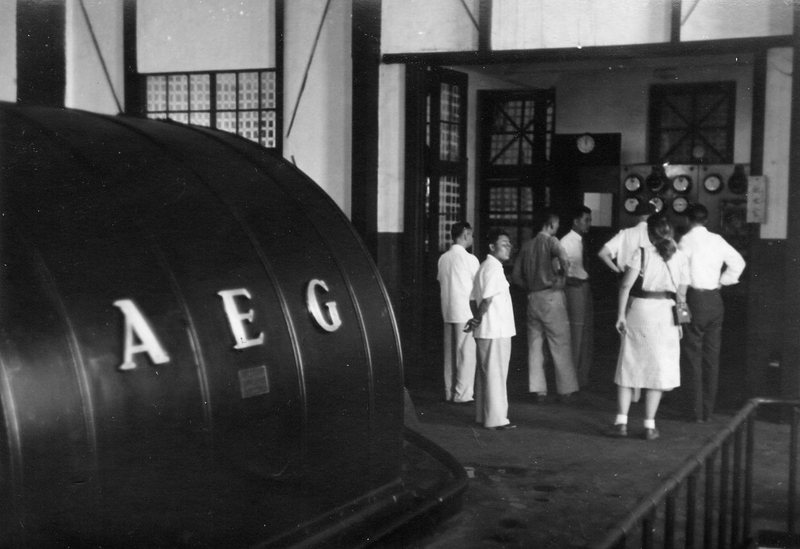 JGW《Completed Development of the Textile Industry in Taiwan 1951-1955》Dec.1955,110p. 408. 《Trend in US trade with Asia 1958》Sep.25,1958,32p. 409. S.L. Buffington《Cotton Textile General—Stock of Raw Cotton Needed to Supply Taiwan in 1952》TA 23.2.1,Dec.22,1951,3p. 410. 《Passage de Beausset & Family HongKong/Rio de Janeiro》May,3,1957,1p. 411. 《Letter》de Beausset to Dix, Jun.20,1957.1p. 412. 《Shipment of Chinese Junk V.S. de Beausset Personal》Dec.12,1957,1p. 413. 《Letter》Royal Inter-ocean Lines to de Beausset , Jun.28,1957.1p. 414. 《Itinerary of Fitch/de Beausset /K.T.Li》Sep.3,1957,6p. 416. 《The Economical and Financial Value of Exportation of 300000btons of Salt from Taiwan in the Fiscal Year 1952》3p. 418. 《News Articles 1949,1950 on Formosa your letter No. 493》Dec.27,1951,4p. 419. 《Letter》Frank L. Turner to Val, Nov.26,1951,1p. 420. 《Cross-Island Highway to have Great Value》 Nov.18,1954,1p. 421. 《Shen Ao First Unit Procurement》Dec.10,1958,28p. 422. 《Development of Chemical Industries》Nov.2,1954,2p. 423. 《Letter》KC Wu to Val May 19,1951,1p. 424. 《Val Leaving for US, Raps Red Tape》Nov.14,1952,1p. 425. 《Letter》KC Shah (總統助理)to Val, May12,1951,1p. 426. 《Letter》JL Brent to Val, Jun.11,1955,1p. 427. 《Letter》陳誠 to Val外間所傳，自不足信, Jun.24,1955,3p. 428. 《de Beausset Leaving Today After 9 Years, Great Contribution》離台剪報Aug.18,197,8p. 429. 《From a Taiwan 57-58》1957-58懷特與Val的合約Aug.5,1957,13p. 431. 《Cause of Failure & Suggestions of Ready for the Waste Heat Boilers in Nitric Acid Plant》Jun.3,1957,14p. 435. 《Letter》Val to Henry Tarring,Aug.15,1950,3p. 436. 《Letter》Chen Chin-po(Golf Club) to Val,Sep.12,1956,1p. 437. 《Cross-Island Highway Line Survey Completed》Nov.14,1955,3p. 438. 《Friends of China Club Bulletin》Jan.25,1956. 439. 《Overall Direct and Indirect Effect of US Aid》Feb.18,1954,7p. 440. 《Letter》WS Finlay to Val,Dec.28,1951,2p. 441. 《Report on Soda Ash Project》2p. 442. 《First Expansion Project of Kaohsing Ammonium Sulfate Corp.》Jan.30,1957,7p. 443. 《Agreement for Management, Advisory, and Engineering Services》Dec.5,1956,27p. 444. 《Taiwan Gross Civilian Capital Formation 1952-1954》Nov.1955,20p. 445. 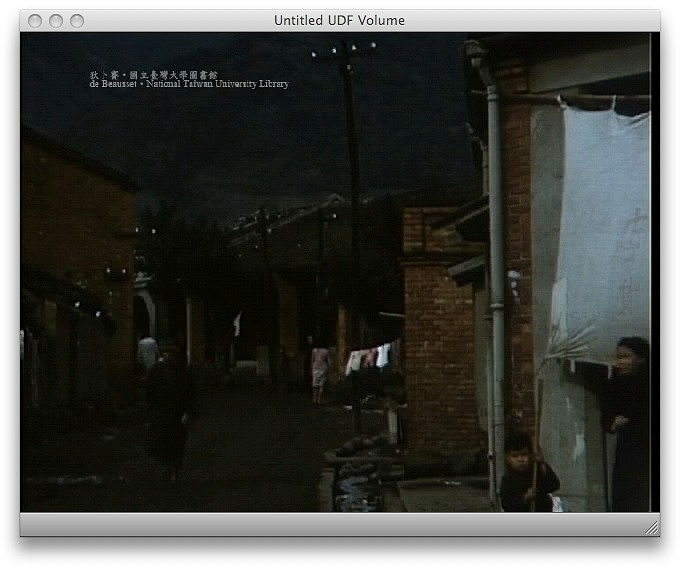 《Industrial Development Program Taiwan (FY 1951-1955)》Jan.30,1955,84p. 446. 《Industrialization of Taiwan To-day Jumped to First Place in S.E. Asia》Aug.17,1957,3p. 447. 《Further Comments on the Expansion of Textile Industry》Dec.13,1956,3p. 448. 《Statute for Investment by Foreign Nations》12p. 450. 《Report on Agricultural Development along Cross Island Highway》Jul.15,1957,3p. 451. 《Report on the Production of Chemical Fertilizers in the Ecafe Region》109p. 1950? 452. 《From A Taiwan 55-57》Jan.21,1955,13p. 454. 《From A Taiwan 57-58》Mar.25,1957,14p. 455. 《Letter》Walter Carr to Val, Dec.30,1954,1p. 456. 《Letter》JL Brent to Val,Jul.16,1957,1p. 457. 《Personal and Confidential》Apr.20, 1951,5p. 458. 《Four-Year Plan for Attainment of Economic Independence 》Nov.1952.45p. 460. Henry J. Bruton《Industrialization Policy and Income Distribution》July 1974,96p. 464. 《Nuclear Power in the Future Taiwan Power System》Jun.1957,24p. 466. 《The Day the Chinese Attacked Korea, 1950》245p. 467. 《Provision for Exemption or Installment Payments of Import Duty and Dues on Machinery and Equipment Imported by Productive Enterprises》July 1965.23p. 468. 《Mineral Industries Development Survey 1954》Oct. 1954,40p. 469. 《The Real International World and the Academic Lag》Aug.14,1958,p172-188. 470. 《Economic Trends in ROC》Sep. 1967,81p+10p+17p+17p+26p. 471. 《Conference on American Trade with Asia and the Far East》 Apr. 17-18, 1958,10p. 474. 《Shimen Reservoir Project Agreement between the Government of the ROC and for Engineering Services》PIO/T 84-99-258-5-60406,Mar.12,1957,71p. 475. 《Preliminary Investigation on US Aid Private Industries》Jan.5,1956,11p. 476. 《Minutes of the 10th meeting of TCBA Operation Improvement Supervisory Group》Oct.8,1956,7p. 478. 《Comments of Committee ‘A”s Secretariat》（Rayon Staple）Sep.22,1956,5p. 479. 《Situations in regard to industrial production in 1956》2p. 480. 《Progress of the Small Industry Counterpart Loan Fund》Sep.6,1956,6p. 481. 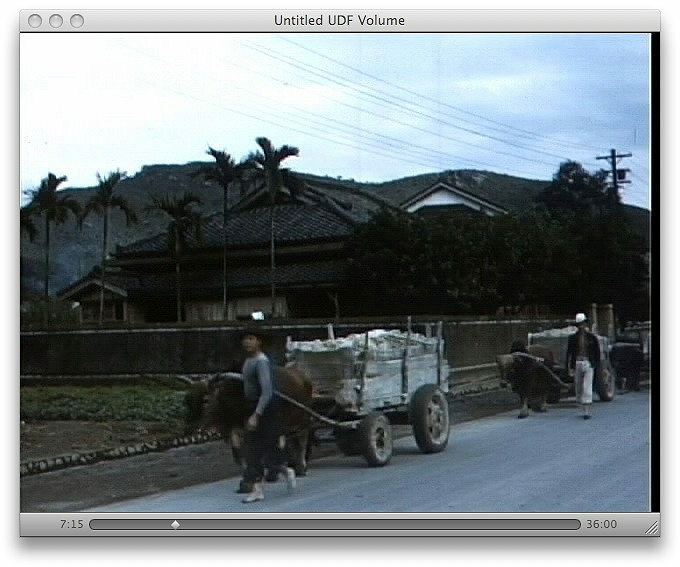 《Taiwan Urea Plant Project》Dec.19,1956,15p. 483. 《China Textile Industries Inc.》Oct.9,1951.7p. 484. 《China Textile Industries Inc.》TA-23.2.1,Sep.26,1951,10p. 486. 《Management Digest》『Less Downtime—Less Cost』Nov.1956,p29-31. 487. 《Letter》K.I. King to Val,May7,1957.3p. 489. 《Matters for Report and Discussion for the First Meeting on the Joint Committee of FY1956 SIL》Oct.11,1956,43p. 490. 《Hsinchu Window Glass Works, Inc》Jun.12.1956,4p. 491. 《C & EN》『Nitrogen Problem: Allied’s Answers』Oct.8,1956,p4936-7. 492. J.C. Huang《Some Observations on the Hong Kong Market for Taiwan Hogs》Nov.14,1956,5p. 493. 《Consolidated Income Tax Rates, Business Income Tax Rates and Income Tax Load》Aug.24,1956,6p. 494. 《Balance, Collection and Utilization of Aid NT$ between now and end 1956》Sep.8,1956,3p. 495. 《Taipei City Bus Administration》Jan.26,1957,2p. 496. 《Some Basic Considerations in the Programming of Taiwan’s Industrial Development》Apr.24,1956,4p. 497. 《24 US Air Carriers in Philippine Seas》Jun.1,1954. 498. 《China is Worth Saving》Nov.1949,p55-60. 499. 《Letter》J.B.Wright to Val, Mar.21,1955,2p. 500. 《US Aid Supplies Delivered in 1956 Valued at US$73 Million》Jan.21,1957,1p. 503. 《Letter》Val to KA Varghese（Fertilizers）,Feb.13,1954,7p. 506. 《Construction Activity in Seven Major Cities in Taiwan, 1950-1954》Nov.4, 1955,16p. 507. 《Guide-line for the Resumption of the functions of the Central Bank of China》P.y.Hsu to Val, Jul.6,1961,4p. 508. 《The Nutritional Value of Soybeans》7p. 509. 《Letter》Nels to Val, Mar.31,1955,1p. 510. 《Electric Power in Taiwan To-day》Aug. 1952,33p. 511. 《Mutual Security in Southeast Asia》16p. 512. T.H. Shen《Food Production and Administration in Taiwan》May.1952,15p. 514. 《Bi-Monthly Economic Review》May-Jun 1957. 515. 《U.S. Aid Financed Gross Civilian Capital Formation》Jun.11,1957,10p. 516. 《General Price Changes During 1956 TOICA A-952》Jan.25,1957,6p. 517. 《Operating Costs of Taiwan Sugar Corporation–1956》Jun.5,1957,1p. 518. 《U.S. Dollar Aid and Counterpart Fund Financed Capital Formation》Jun.19,1956,12p. 520. 《Foreign Exchange Rates and Price Movements, Jun. 1949-May 1955》Aug.22,1955,3p. 521. 《Annual Value and Percentage of (a) Construction Material Imports and (b) Machinery Equipment and Parts Imports in Total Chinese and FOA-Financed Imports, 1950-1954》9p. 523. 《Part VI Overall Objectives of Aid to Industries and Services》1952,49. 526. 《Comparison of Joint Imports Financed with govt Exchange and ICA non-project Commercial Procurement Funds between 1955 and 1956》3p. 528. 《Imports of Edible Oils During 1954》Dec.13,1955,2p. 529. 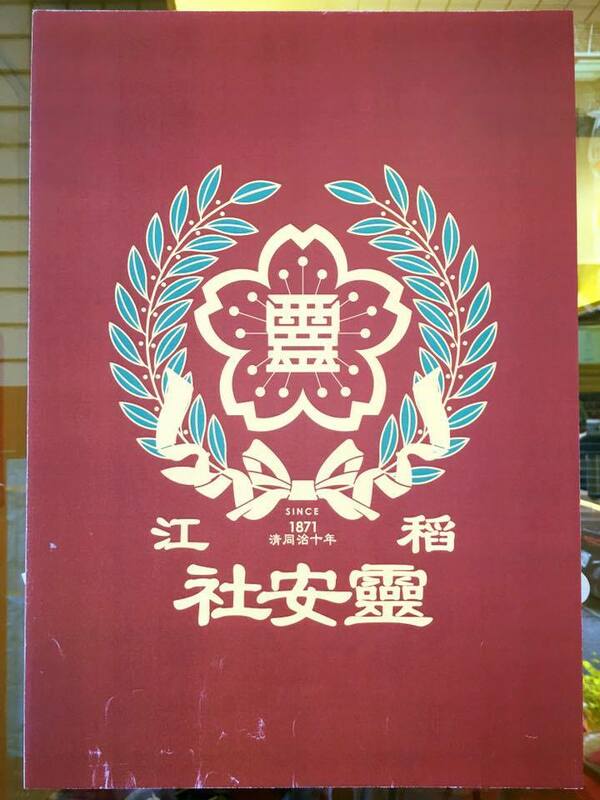 《The Administrative Achievements of Taiwan Province in the Past Six Years》1952,17p. 530. 《Economic Development on Taiwan 1951-1955》Jan.1956,87p. 531. 《Program for Consolidated Extension, Purchasing and Distribution of Ramie》Apr. 30,1957,3p. 533. 《Letter》Frank L. Turner to Val, Jan.29,1954,2p. 534. 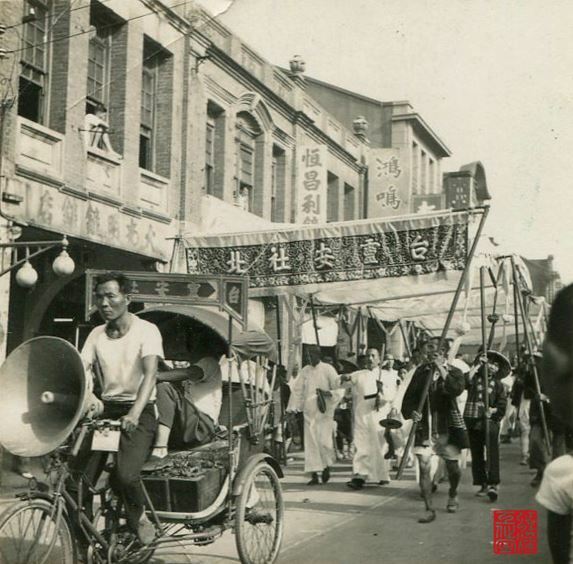 《Establishment of Bonded Zone in Kaohsiung for the Promotion of Export Processing Industries》May 17,1956,4p. 535. 《Average Monthly Wage Payments by Industry》p20-24. 不全. 536. 《Report on Delinquent Payments on Aid Equipment and Commodities Allocated Various Recipients》Mar.26,1956,4p. 538. 《Letter》Fred C. Wong to Val,Jan.11,1958.2p. 539. 《Exportation of Taiwan Salt》1p. 540. 《Letter》J.H. Moore to Val,Aug 16,1988. 541. 《Letter》J.H. Moore to Val, Sep.21,1967,4p. 544. 《Letter》J.H. Moore to Val, Dec.25,1969,3p. 545. 《Taiwan Industrial Panorama》Mar.1969,Aug. 1970,8p. 546. 《Free China Review》Jan. 1966,p19-22. 547. 《Bi-Monthly Economic Review》Jan-Feb. 1956. 548. 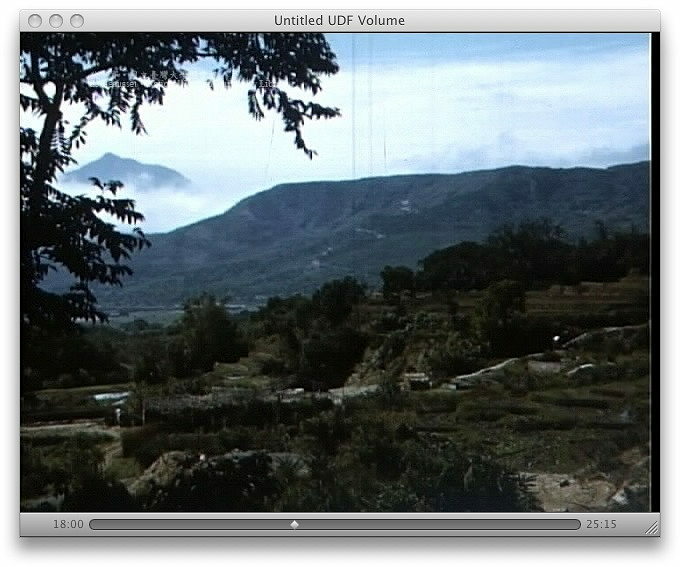 《Taiwan Industrial Panorama》Jan.1973,4p, KT Li to Val. 551. 《Description of Project and reasons for U.S. Financial Support》p2-4,欠p1. 552. 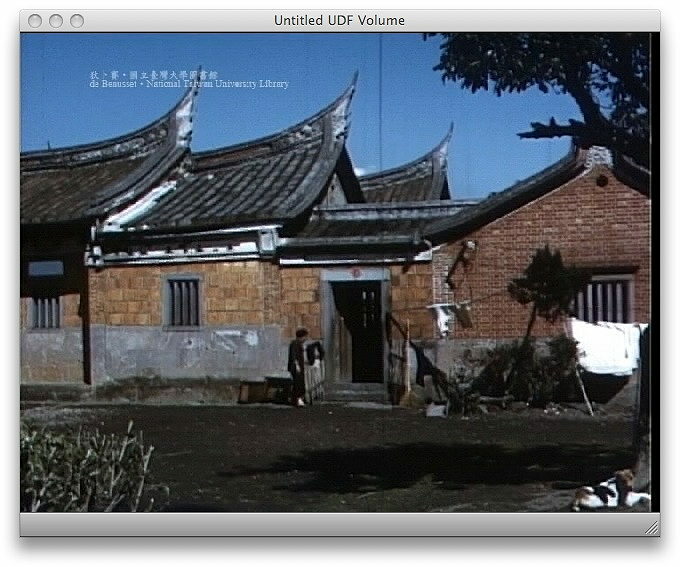 《Final Report Kung Lien Cheng Jute Mill–Hsinying》MSA-21.3.1,Feb.23,1955, 13p. 12張寫真. 553. 《Summary Taiwan Trade Value》40p. 554. 《Overall Evaluation of Effect-U.S. Aid》Feb.20,1954,7p. 556. Kakuten Hara《Economic Development and Possibility of Trade Expansion in Southeast Asia》p52-59. 557. 《The Equalization of Urban land Rights Act and Regulation Governing the Implementation in Taiwan》Apr.1956,54p. 561. K.T. Li《A Review of Industrial Development in 1956》15p. 562. 《Imports of Edible Oils During 1953》1p. 563. W. Arthur Lewis《On Planning in Backward Countries》5p. 564. 《Taiwan Golf and Country Club》1956,7p. 565. 《An Abstract of Glass Ware Manufacturing Project》Feb.22,1956,2p. 566. 《Production Records for 1949-1955》 Tang Eng Iron Works, 3p. 570. 《The ROC Six-year National Development Plan in Brief》Aug. 1991,14p. 571. 《Heating & Air Conditioning for A Residence》Glen Paulsen to Connie, Dec.14,1959,6p. 572. 《Commissioner of Patents》 jan.2,1958,1p. 577. 《Total US Aid to Selected Industrial Projects》Jan.30,6p. 578. 《Kaohsiung Ammonium Sulfate Corporation, Ltd.》Nov.1956,4p+台灣新聞畫報+手稿3p. 579. 《Survey of Economy of Taiwan: Summary and Conclusion》Dec.4,1951.4p. 580. 《Chigovt Foreign Investment Law》Jul.12,1954,11p. 581. K.Y.Yin《Adverse Trend in Taiwan’s Industrial development》Jul.22.1954,5p. 582. Lamp Li《The Structure and Geographical Distribution of Taiwan’s Industries》Jul.14, 12p. 583. 《Revised Company Law of China》Sep.25,1952,53p. 584. 《Overall Objectives of Aid to Industries and Services》1952,4p. 585. 《Economic Stabilization Board》May 22,1952.2p. 586. 《A Survey Type Study of the Absorption of Graduate Engineers by Taiwan Industry》Nov.1956,11p. 587. 《Four-Year Agricultural Plan is Successful》Feb.18,1957,2p. 588. 《A Brief Report on Taiwan Highways》Mar.1956,20p. 589. John E. Arens 《Why is it Important》7p. 590. 《Taiwan Power System》Jan. 1957,2p. 591. 《Basic Land Use and Forest Statistics for Formosa》JCRR,1956,30p. 592. 《A Sketch Descriptions of the Second Four-Year Industrial Program》(confidential) Dec.6,1956,7p. 594. Dorothy Woodman《Facing Facts in Formosa— A Challenge to Peace》Aug.1950,12p. 598. 《Map of Taipei》1955, 1Gp. 599. 《Friends of China Club》1p. 600. 《Notice of Annual Meeting and Proxy Statement》May13,1958,5p. 601. 《To Help Others is the Greatest Pleasure》2p. 602. 《Estimate of Cost of Japanese 12 lb, Grey Sheeting Ex-Warehouse, Keflung 15.65-1 Basis》5p. 603. 《Can this Tiger Burn Bright Again?》Business Week/Dec.3,1990. 604. 《Monthly Economic Review》May 1952,19p’. 605. 《Monthly Economic Review》Apr. 1952,16p. 606. 《Monthly Economic Review》Aug. 1952,18p. 607. 《Monthly Economic Review》Jan-Feb 1955,16p. 608. 《Monthly Economic Review》Nov-Dec 1954,24p. 609. 《Monthly Economic Review》May 1953,22p. 610. 《Monthly Economic Review》Feb. 1953,18p. 611. 《Monthly Economic Review》Sep-Oct 1954,20p. 612. 《Monthly Economic Review》Jan-Feb 1954,28p. 613. 《Monthly Economic Review》Sep. 1952,20p. 614. 《Report on Washing Tower Design Discussion with Inventa and Vulcan》 May 8,1959,7p. 616. 《New Taiwan Plastic Factory Commenced Operation》2p. 617. 《The Expanding Taiwan Salt》July 1957,4p. 618. 《Actual Exchange Rate Under the Measures for Promoting Export Sales of Products Processed with Imported Raw Materials》July 9,1957,19p. 619. 《The Bituminous Pavement of Taiwan North South Arterial Highway》20p. 620. 《Economic Progress on Formosa》Feb.1952,20p. 621. 《Directory of Taiwan 1955》151p. 622. 《Fifteen Years of US Economic Assistance to ROC》15p. 623. 《Discussion of General Industrial Loan Fund》Dec.3,1954,3p. 625. 《Record of Taxes Paid by Dah Ching Cotton Mill-1952 MSA-End-Use Report No.291-Feb.25,1953》Mar.9,1953,3p. 626. 《Industrial Program FY1952 Through FY1955》Aug.14,1952,1p. 627. 《High Lights of Taiwan Power system》Nov.1,1956,2p. 628. 《Government Backstopping Industry Abroad》C & En,Dec.10,1956,p6060-62. 629. 《The International Sugar Council Revised 1956 Export Quotas》Jan.1957,p23-4. 630. 《Preliminary Investigation on US Aid Private Industries》Jan.5,1956,3p. 631. K.T. Li《Briefing the Industrial Program of the Four Year Economic Development Plan to EAG》Aug.18,1954,4p. 632. 《》J.L. Brent to Lin. Sep.20,1954,3p. 633. 《Revised Processing Cost Sheet for 440000Lbs. of Lowered-Qualitied Wettable DDT Prepared Directly from Technical DDT》Jul.14,1952,7p. 634. 《Nan Chuang Coal Field Exploration Bureau》Nov.28,1953,1p. 635. 《Overall Direct and Indirect Effect of US Aid》Feb.18,1954,7p. 637. 《Committee D’s Estimate of fertilizer Requirements for CY57》Jan.10,1957,5p. 638. 《Second Four Year Plan(1957-60)—Draft Plan for Petroleum Refining Industry》Nov.14,1956,6p. 639. 《A Proposal for Expansion of PVC Plant and Manufacture of PVA and Copolymers》Formosa Plastics Corporation 4p. 640. 《Supplement to Report on Paper Industry, 1956》Jun,1957,5p. 641. 《Survey of Paper Industry》May 8,1957,54p. 642. 《Expenditures to Support the Military Aid Program》Jun.22,1956,24p. 643. 《Meeting for Screening Applications Under the Third Lot of Small Industrial Loans》38p. 644. 《FY1955 Industrial Program, Opinion on JGW’s Comments》43-G, Jul.30,1954,6p. 645. Hu Shih《The Communist Regime in China is Unstable and Shaky》Sep.26,1957,9p. 646. 《General Problems Relating to Financing of Industrial Development in the Second 4-Yeay Plan》Jun.27,1957,2p. 647. 《Cotton Textile General》TA 23.2.1,Feb.16,1952,2p. 651. 《Minutes of Meeting on Taiwan Alkali Company High Test Bleach Plant》Sep.4,1956,13p. 652. 《Minutes of Meeting on Taiwan Alkali Company High Test Bleach Plant》Sep.11,1956,13p. 653. 《Meeting in Zurich on 24th May,1956》13p. 654. 《High Test Bleach Plant》Aug.31,1956,8p. 655. 《High Test Bleach Plant》Aug.21,1956,3p. 656. 《Vacuum Pump for HTB Plant》Aug.16,1956.1p. 657. 《Minutes of Meeting on Taiwan Alkali Company High Test Bleach Plant》Aug.13,1956,8p. 658. 《Letter》Yao to Exporters, Aug.6.1956,1p. 659. 《Letter》E.C. Krebs to Val,Jul.30,1956,2p. 661. 《Letter》E.C. Krebs to Yao ,Jul.30,1956,2p. 663. 《High Test Bleach Plant PA 2307》Mar.30,1957,25p. 664. 《Replacement Parts to HTB-Plant》Feb.22,1957,8p. 667. 《Interim End-Use Report No.E-890C》Dec.26,1956,3p. 668. 《Filter Bags HTB Plant》Jul.30,1957,1p. 670. 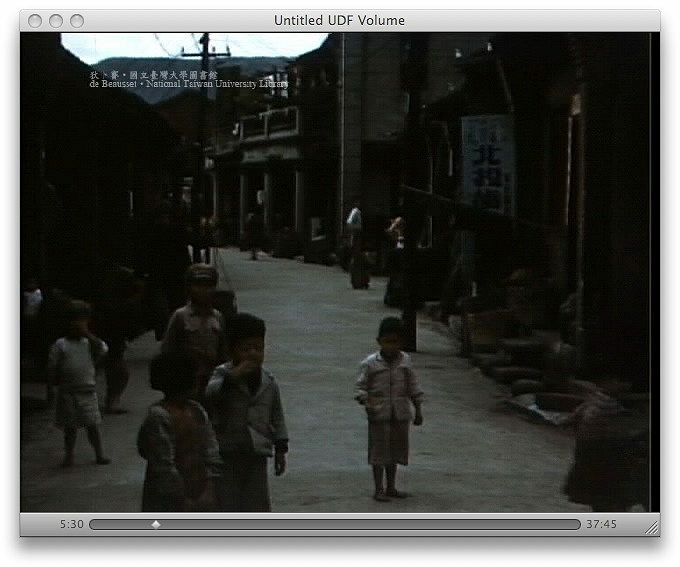 《HTB》Val to Yao, Jun 8,1957,3p. 671. 《Pump for Calcium Hypochlorite and Lime》Jan.11,1957,1p. 674. 《The Taiwan Economic Data Book》(Confidential) 285p. 675. 《The Industrial Program under the Four-Year Economic Development Plan》Jun 30,1954,162p. 676. 《Import Exchange Settlement for Pharmaceuticals in CY1956》Jun.1957,100p. 678. 《The ICA Aid Program for FY-1956》Mar.1,1956,18p. 679. 《Power Projects on Taiwan》Taiwan Pictorial, Oct.25,1956,4p. 682. 《Information on Chinese Chemical Industry》Nov.25,1958,10p. 684. 《Fourth Four-Year Plan for Economic Development of Taiwan 1965-1968》Nov.1965,272p. 686. 《Wonderful Success in Industries of Free China》Aug.1,1956,3p. 687. 《Taiwan Fertilizer Co., Ltd. 1956》Aug.13,1956, 21p. 688. 《Economic and Political Condition on Taiwan》Jul.2、3、4,1956. 4p. 690. 《Tachien Dam Project under Survey and Planning》Oct.10,1956,4p. 691. 《Growing Profits on a Heavy Debt》Business Week, Jul.21,1956,p71-74. 692. 《Letter》J.L.Brent to Laura, Sep.18,1956,3p. 693. 《Chinese Puzzle: Mao’s Foreign Policy》The New York Times Magazine, Oct.12,1958,6p. 694. Herrymon Maurer《Formosa and Free World Policy》The New Leader, Apr.4, 1955,15p. 695. 《What’s at Stake in Formosa》The Reporter, Mar.10,1955. 697. 《Letter》Val to Cousin, Nov.24,1959,1p. 698. 《Changing Trade Patterns as Underdeveloped Areas Become Developed》Draft, 7/22/58,13p. 699. 《Coming Problems of US Economic Development》Science, Oct.17,1958, p879-882. 701. 《Letter》Dudley F. Phelps to Secretary of Commerce, Nov.19,1958,4p. 703. 《Two Harms of Taiwan Economy》Nov.1952,2p. 704. 《Comments on Proposed Industrial Program FY52-FY53》Jul.15,1952,4p. 705. 《Letter》Draft, Val to Moyer, 8p.1951? 708. 《ECA-JCRR Press Translation Summary》Jun.5,1951,3p. 709. 《Island in the Sun》The Wall Street Journal, Mar.26,1950,1p. 710. 《Investment in Making Yung-Li Chemical Plant》Apr.28,1958,9p. 714. 《HTB》A.H. Clem to Yao, May 28,1958,2p. 716. 《Letter》Val to Robert Banks,Jun12,1950,1p. 717. 《A Brief Report on the High Test Bleaching Poweder Project of Taiwan Alkali Company》HTB, Jan.18,1955,21p. 718. 《Daily Report of HTB Plant》5p. 719. 《Instructions on the Operations of the Drying Plant as a Part of the HTB Plant》2p. 720. 《Instructions on the Operation of a Part of the HTB Plant》7p. 721. 《 KREBS—Parice HTB Plant》Apr.16,1956,12p. 725. 《Purdue University to Val》Aug.5,1958,1p. 726. 《Statistics of Import Commodities 1951-1955》Mar.31,1956,22p. 728. 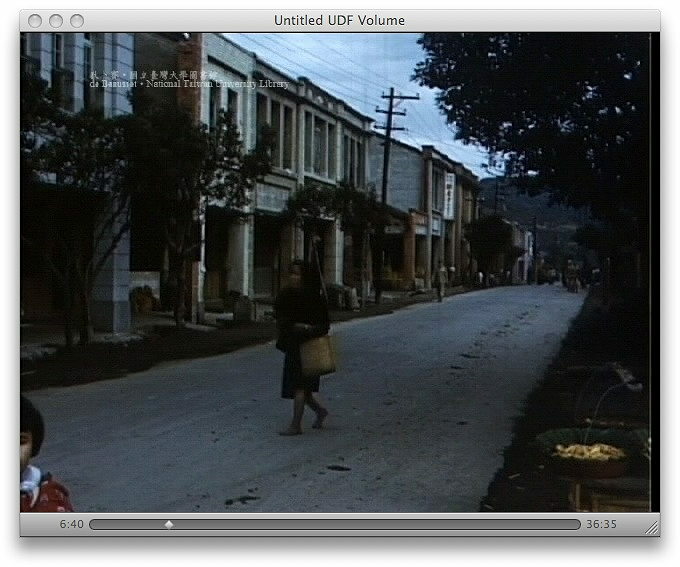 《Recent Changes in Rural and Urban Taiwan》Sep.1954,8p. 729. 《List of Products Identifiable by way of Packing, Labeling, or Making, Exported from Taiwan to South-Eastern Asia during 1955 Jan. to 1956 Jul.》8p. 730. 《Additional Statistical Data of Imported Commodities 1951-1955》Apr.2,1956,1p. 731. 《Foreign Investment in Taiwan》Oct.19,1953,11p. 732. 《Kaohsiung Ammonium Sulfate Corporation, Ltd.—Progress report No.1》Mar.2,1957,3p. 734. 《Consumtion of Cotton and Cotton Products in the First Six Months of 1952》TA 23.2.1,Sep.23,1952,11p. 736. 《Jardine, Matheson & Co., Limited to Val》Oct.24,1952,2p. 737. 《Coal-Washer at No.1 Fertizer Co. Plant》Jun.27,1952,1p. 738. 《Letter》Martin Wong to Chang, May 15,1p. 739. 《Price Inflation in Taiwan》May22,1952,9p. 740. 《Letter》Ivy to Val, May16,1958,1p. 741. 《Privatee Capital Opportunity》May 26,1952,4p. 742. 《Principales of Rational Foreign Economic War Policy》Feb.19,9p. 743. 《A Brief Summary of ‘The Economic and Political Hazards of the Inflationary Defence Economy’》2p. 744. 《Manuscrip ‘Development of Industrialization in Taiwan under Japanese Regime’》 Aug.28,1952,14p. 745. 《Industries of Formosa》June 1952,32p. 746. 《Preliminary Report Urban and Industrial Survey of Taiwan》Sep.28,1953,17p. 747. 《Comments on ‘Plan for Taiwan Food Production and Utilization of Capital for Calendar Year 1952’》Dec.4,1951,3p. 748. 《Comments on Agricultural Production Goals Set by PDAF, Food Bureau and Mr. Owen L. Dawson》Dec.1,1951,21p. 749. 《New Front in the Cold War—The US Searches for a World Economic Policy》Time,Dec.13,1954,1p. 750. 《Hualien Nitrogen Fertilizer Factory》MSA-16.0, Mar.16,1953,10p. 751. 《Letter》R.D. Smith to Val,Dec.7,1955,2p. 752. 《Letter》Yao to Yen, Feb.15,1957,6p. 753. 《Whom will be Deceived? The God?》Nov. 1952,2p. 756. 《Cotton Textiles—General, Use of Counter-part Funds》Sep.18,1951,10p. 758. 《Results of Small Industry Loans》Jan.25,1956,5p. 759. 《Plan for Taiwan Food Production and Utilization of Capital for Calendar Year 1952》(Restricted) Nov.7,1951,31p. 761. 《letter》Martin to Val, Feb.27,1952,1p. 762. 《Capital Expenditures of Government-owned Industries》May12,1952,1p. 763. 《letter to Yin》JCRR-51-5100, Dec.18,1951,2p. 764. 《Comments on Plan for Taiwan Food Production and Utilization of Capital for Calendar Year 1952》Dec.7,1951,2p. 765. 《Trend of Development under Industry Taiwan as trend in Asia》Draft,2p. 766. 《Talk by Ragner D. Naess》Apr.23,1959,4p. 767. 《Correspondence from Mr. K.Y. Pao, Acting Chairman of Chinese Gov’t Procurement Services Mission》44-c-1688, Jun6,1955,9. 768. 《Minutes of Press Conference》Jan17,1952,9p. 772. 《Yawata Iron & Steel Works》Jul6,1953,6p. 773. 《MSA-JCRR Press Translation Summary》Jul.17,1952,2p. 774. 《Report on 154th Meeting of Taiwan Production Board》May17,1952,9p. 775. 《Letter》Ministry of National Defense to Wong,Jun27,1952,1p. 776. 《Ching-Kua-Sheh Copper Mine》ECA-19.3, Jun3,1952,37p. 778. 《Survey of the Livehood of Taiwan Fishing People & Outline of recommendations for Its Improvement》Jun17,1952,7p. 779. 《Textile General—Planned Developments in Textiles FY1953— US$2000000.00》TA 23.1, May20,1952,4p. 780. 《Tentative CY1953 Counterpart Fund Budget on Industrial Projects》Oct.6, 1952,2p. 781. 《Power Development Program for FY1952, FY1953, and FY1954》ECA-15.11, Jun16,1952,3p. 782. 《Exyracts from the European Recovery Program by Seymour E. Harris》Jan23,3p. 783. 《Comments on Industrial Program FY1952 through FY1955》Jul11,1952,2p. 784. 《Letter》Martin Wong to Dr. Chu,Aug.18, 1952?,1p. 785. 《Industrial Aid Program 1953-1955 Petroleum》Jul.24,1952,1p. 786. 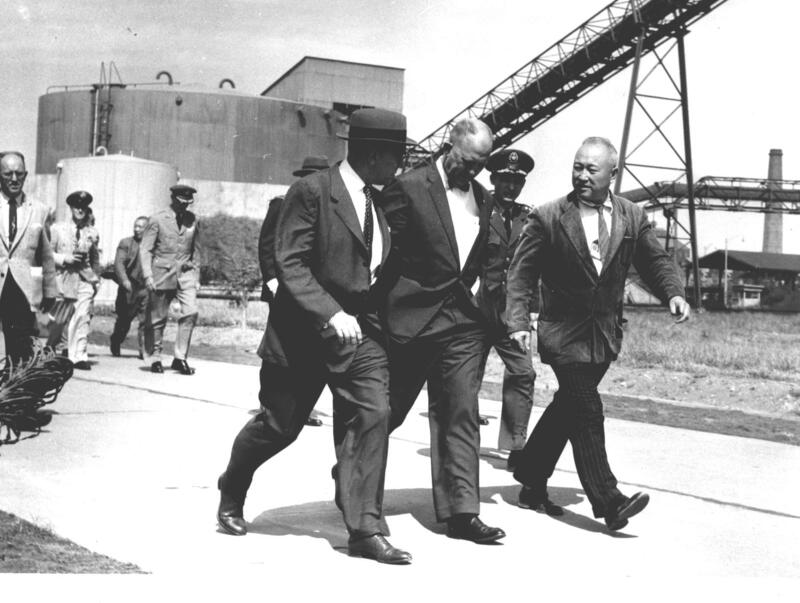 《Nan-Shih, Chu-Keng and Wu-Sheh Power Projects》ECA-15.11 TA-16.3, Aug.19,1952,2p. 788. 《To Whom it May Concern》Aug.27,1952,1p. 789. 《Industrial Development—Financing & Production Plan》Aug.28,1952,1p. 790. 《Foreign Exchange Savings—US$–Estimated Savings from Development of Cotton Processing Industry—FY1950,1951,1952,1953&1954》Aug.25,1952,2p. 791. 《Regulation Governing the Issurance of Land Bond in Taiwan》Aug.2,1952,4p. 792. 《Plans for Land Reform Program》Jul30,1952,4p. 793. 《Letter》KY Yin to Val,Dec.17,1951,1p. 794. 《Discussion on the Food Production Plan of the Food Bureau Held on》Nov.29,1951,2p. 795. 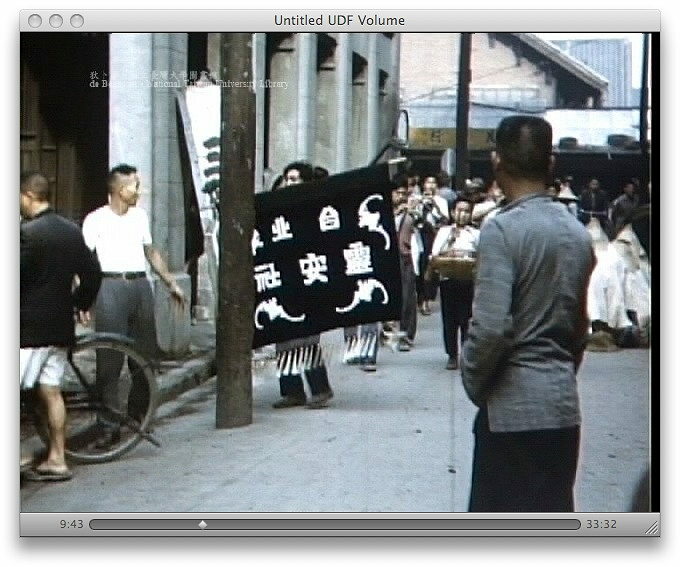 《Far East Demonstration Small Industry and Handicraft Development Project》Jan20,1956,13p. 796. 《T-8 East-West Tie-Line Dedication Ceremonies》台電東西線竣工典禮共 24張寫真，Dec.19,1951,14p. 798. 《Special Articles from The White Paper— US Relationship with China》25p. 799. 《The Long March Away from China》Business Week, Sep.30,1972,p10. 800. 《Letter》Val to C.O. Brown,Dec.11,1956,2p. 801. 《Taiwan Fund Chairman’s Message》Feb.2,1990, 34p. 802. 《Annual report of Taiwan Fertilizer Co. for 1951》Jul 1,1952,11p. 803. 《Presrentation of a Plant for a Production Mobilization Bureau for Taiwan》10p. 804. 《Report on Progress of the Mechanical Industry of Taiwan During CY1952, With Particular Emphasis on the ‘Metal Trades’》Nov.13,1952,13p. 805. 《Forestry General– Forestry Project—Dollar Savings》Aug.26,1952,8p. 806. 《Comments on T.I.M.C. as a Profitable Investment for the Ousted Land Owners under the Land to the Tiller Program》Mar.11,1953,3p. 807. 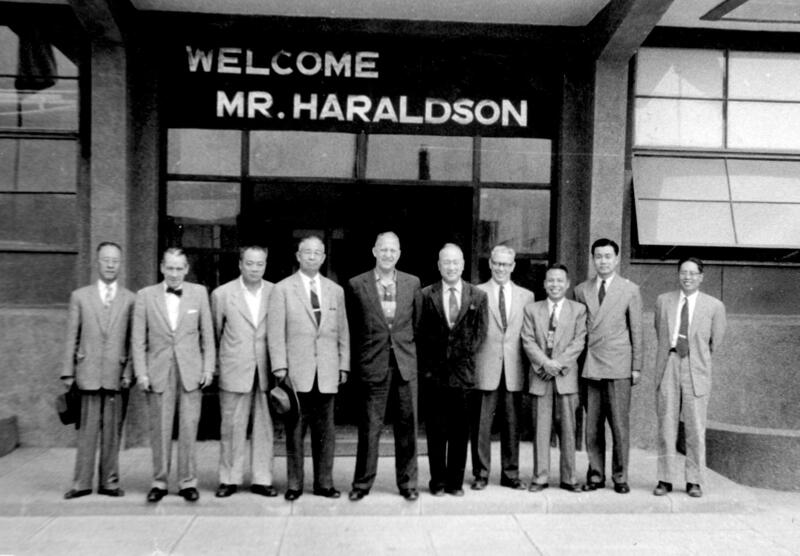 《Industrialisation of Taiwan and American Private Investment》Mar.14,1953,4p. 808. 《Properties to be sold as Part of the Land Reform Program》Mar.10,1953.2p. 809. 《Sale of Government Enterprises to Private Ownership》Mar.11,1953,1p. 810. 《Repayment of Counterpart Loans》Jul9,1952,1p. 811. 《Consumption of Cotton and Cotton Products 1952》Mar4,1953,16p. 812. 《Statistics of Import Exchange》Mar30,1953,1p. 813. 《Comments on the Sale of Governmental Enterpries》Mar11,1953.4p. 815. 《Items Appearing in Statistics of Import Exchange Settlements for Feb. 1953, Which Could Have Been Made in Taiwan》Apr.9,1953,1p. 817. 《Statistics of Import Exchange—Feb. 1953》Apr.3,1953,1p. 818. 《Cost Production of Sugar》Aug.8,1952,3p. 824. 《A Preliminary Report on the First Experience of China in National Accounting for Taiwan》Feb.1954,22p. 826. 《Stamps Tell the Story of ROC》Jul.1971,28p. 827. 《Economic Progress in ROC》Jul 1971,42p. 829. 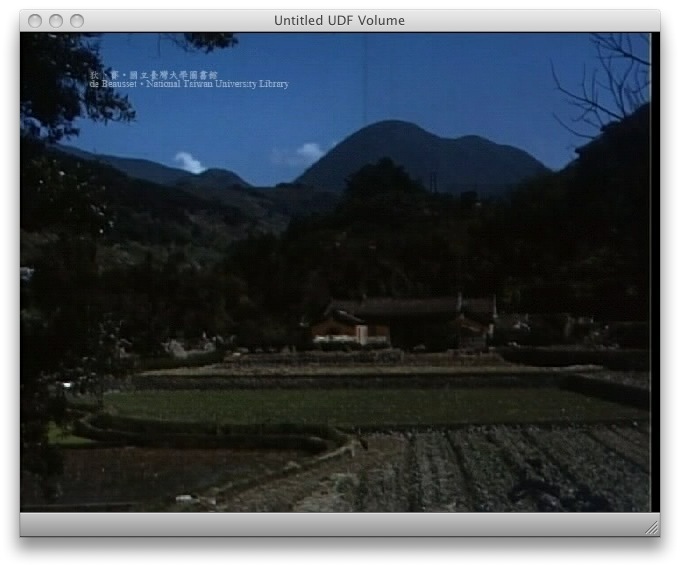 《Development of the Small Farm Economy in Taiwan》July 1986,11p. 830. 《Part VI Overall Objectives of Aid to Industries and Services》4p. 831. 《Letter》Val to KT Li, Sep.8,1986,2p. 832. 《Projected Industrial Profile of Taiwan in 1977》Aug15,1967,10p. 833. 《New Hope from Formosa》The Reader Digest(condensed from Fortune,Jun 1959), p230-236. 834. 《4th Meeting of Working Group on Coordination of Agricultural and Industrial Production, ESB》 Sep.27,1951,7p. 835. 《Our Opportunity on Formosa》The Reporter,Dec.9,1952,p14-19. 837. 《Additional Projects Necessary to Accomplish Self-Support》Sep.17,1954,3p. 839. 《Final Report—Cotton Preparatory Machinery—Chang Hwa Cotton Mill, Ltd., Originally Ordered on P/A 2268, Fy1952, MES—Cancelled by CUSA—US$ 36000》MSA-21.1.1, May 1,1953,8p. 840. 《Report by Adlai Stevenson》Look,May19,1953,5p. 841. 《Chinese Petroleum Kaohsiung Refinery Monthly Refining Cost》3p. 844. 《A Progress Report on Camphor Production from Camphor Veneers and Manufacture of Camphor Plywood from Spent Veneers》Jan.17,1956,3p. 845. 《End-Use Report No.E-1136(Routine) Receipien: Ching Ta Knitting Factory Commodity: Artificial Fibre under PA 5252》Apr.6,1956,2p. 846. 《Letter》Val to Gen Chiang, May27, 1958,1p. 847. 《Letter》to Clinton Morse, Jun3,1958,2p. 848. 《The Briefing on the General Economic Situation in Taiwan for the Members of the Economic Advisory Group》2p. 849. 《Prospects for Private International Investment》Sep.28,1954,7p. 850. 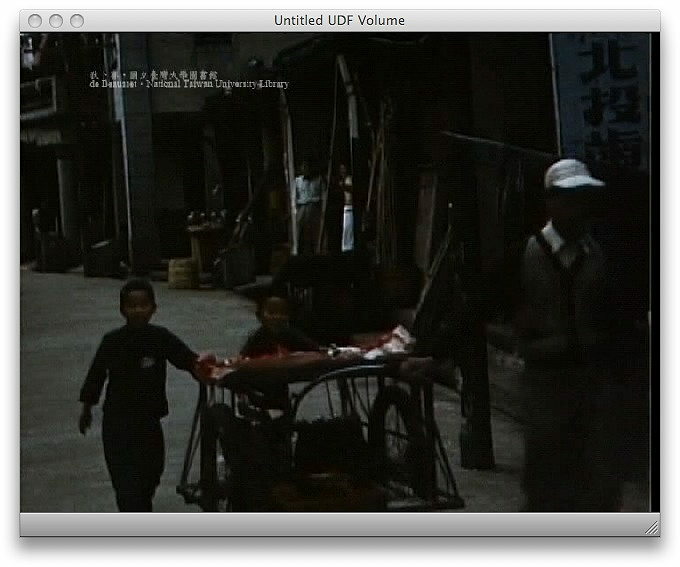 《The People and the Labor of Taiwan》10p. 851. 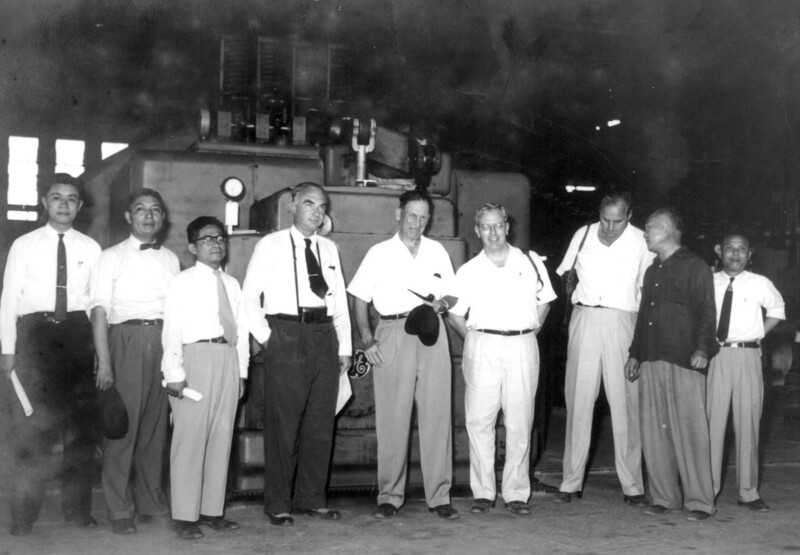 《Report on Progress of the Mechanical Industry of Taiwan During CY1952,. 》Nov.13,1952,13p. 852. 《Comments on the draft of JCIRR Industrial Program of June 11, 1952》July 1,1952,2p. 853. 《Comments on 3-year Industrial Program for Communication services & industries in Taiwan, FY 1952 through FY 1955》July 2,1952,2p. 854. 《Cotton Textiles General NT$ Revenue from Cotton Textile Industry》Mar31,1953,5p. 856. 《US$ Cost of Cotton Textile Imports in 1953 Foreign Exchange Savings and Possible Foreign Exchange Savings》May13,1954,17p. 858. 《Four-Year Plan for Economic Development of Taiwan Agricultural Section Book I Introduction and Explanatory Notes》Jan. 1954,29p. 859. 《Meeting with EAG members》CD-M-71, Aug.25,1954,2p. 860. 《A Brief Report on Agricultural Section of the Four-Year Plan for Economic development of Taiwan》Aug20,1954,6p. 861. 《General Information about the Taxes》2p. 862. P.H. Cheng《Four Important Proposals》Jan28,1952,15p. 863. 《How Does Your Growth Stack Up?》C & EN, Nov.26,1956, p5810-11. 864. 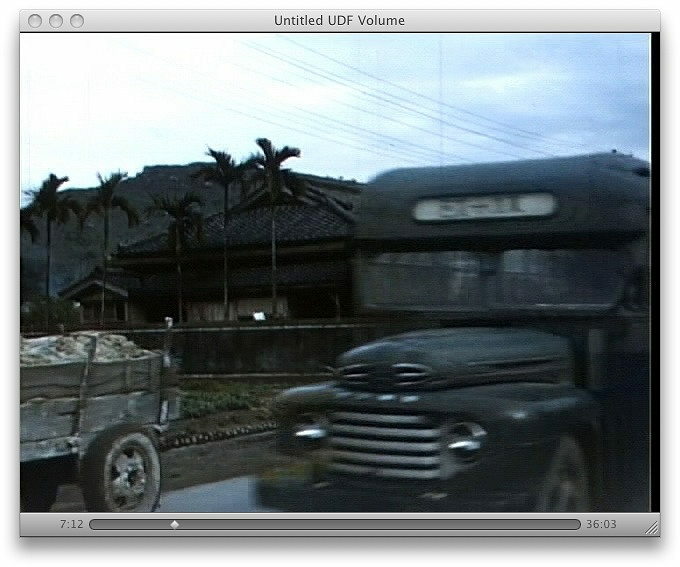 Thomas T. Shen《Keelung City Bus Service》Dec.15,1953,14p. 865. 《Letter》Wen-Chi Tung to Val, Oct.14,1954,1p. 866. Ben H. Louison《Glass Industry on Taiwan》Dec.1953,35p. 867. Y.K. Peng《The Electrical Appliance Manufacturing Industries in Taiwan》Dec. 22,1953,19p. 869. 《Iron and Steel—Hainan Ore》Apr.18,1950,2p. 871. 《List of Equipment & Supplies Required by the Hainan Iron Mining Bureau in 1950》Apr.15,1950,17p. 873. D.P. Vann 《Tientu Iron Mine Report》（Hainan）Feb.19,1949,4p. 874. 《Iron Ore Resources on Hainan Island》7p. 875. 《General Headquarter Suprime Commander for the Allied Powers’》（Hainan）Jan.19,1948,23p. 876. 《A Brief History of Hainan Iron Mines》June 1948,20p. 880. Thomas B. Gold《State and Society in the Taiwan Miracle》An East Gate Book，1986，192p. 881. Robert L. Downen《To Bridge the Taiwan Strait》The Council for Social and Economic Studies,Jun 1984,128p. 882. 《FOA AID to Taiwan Industry Project Maps》（Power，Railways，Highways，Fertilizer，Coal Mines，Mining and Ceramics，Telecommunications，Textile Industry，Chemical Industry，Metal Industry，Lumbering，Pulp & Paper，Food Processing，Shipbuilding and Harbors，Fisheries）FOA/Mutural Security Mission to China, Aug. 31, 1953,15p. 883. 《Essential Statistics on Taiwan》CUSA, July 1961,6p. 884. 《The New Yorker》May 11,1946. 885. 《The National Geographic Magazine》Jan. 1945. 886. 《The Quaterly Journal of National Resources Commission》「Industrial Development and Reconstruction in Taiwan」《資源委員會季刊》「台灣工礦建設專號」Dec. 1946.258+68p. 891. 《From Dr. Sun to Gereralissimo Chiang》Oct. 21,1964,21p. 897. 《Meat Dumplings、Spring Rolls、Moon Dumplings、New Year Cake》4p. 909. 《We Need More Advancement》Oct.24,1956,3p. 910. 《Letter》C.G. Kwei to Val, Sep.20,1955,4p. 914. 《Letter》K.C. Shah to Val, May 12,1951,1p. 918. 《Letter》Val to J.H. Moore,May 6,1969,1p. 919. 《Letter》Val to J.H. Moore,Mar 11,1969,1p. 920. 《Letter》Yuan-Chi Tang to Val, Nov. 9,1965,1p. 921. 《Lettter》Val to and back L.K. Chen, Aug.30,1965,4p. 922. 《Letter》K.T. Li to Val, May 29,1996,1p. 923. 《Letter》K.T. Li to Val, Mar. 21,1988,1p. 924. 《Letter》K.T. Li to Val, Apr. 17,1996,1p. 925. 《Letter》Val to K.T. Li, May 3,1996,2p. 926. 《Letter》Val to K.T. Li, Apr. 2,1996,1p. 927. 《Letter》K.T. Li to Val, Oct. 8,1986,1p. 928. 《Letter》Y. Chen to Val, May 18,1964,2p. 929. 《Letter》J.H. Moore to Val, Apr. 14,1969,1p. 930. 《Letter》Val to Laura, Apr. 26,1966,1p. 931. 《Letter》Val to K.T. Li, Apr. 26,1966,1p. 932. 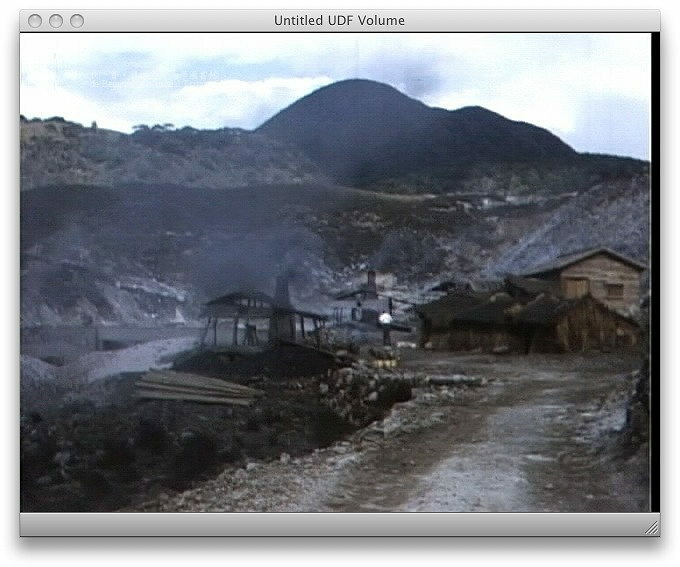 《Look》『They Live on a volocano』，1955/5/7. 933. 《Formosa：Asia’s Heartening Success Story》The Reader’s Digest,Feb.1966, p139-144. 934. 《Amazing Success Story in Asia》U.S. News & World Report, Mar.11,1968, p48-52. 936. 《Letter》Val to Filemon C. Rodriguez,Dec. 10,1957,page4.欠 3張. 937. 《New Horizons》Tunghai University,Oct. 1953.2p. 1005 W. R. Bendy《Proposed Chia Hsin Cement Plant》1955/1/14, 18p. 1006. Tainan District Agricultural Improvement Station《A Brief Account of the Tainan District Agricultural Improvement Station》1956/7, 7p. 1009. 《Eficaz ayuda a Praises Subdesarrollados》美援之後影像, 42p. 1010. 《Tatung 1964 Annual Report》30p. 1015. USC《Factors Limiting U.S. Investment Abroad》1954/6, 59p. 1016. Raymond F. Mikesell《Promoting United States Private Investment Abroad》87p. 1017. 《Port of Kaohsiung》1967/5, 32p. 1018. Lewis C. McCarty, Jr.《Helicopter Project》1965/10, 22p. 1019. 《Free China is alive and well》The New York Times 1972/10/8,40p. 1023. ‘Used tools star in new roles’ Business Week1964/3/21, p58~60. 1026. 《Highlights of Taiwan Power System》1962/2, 4p. 1027. 《Letter》H.C. Hsu ( Taiwan Fertilizer Co.) to Val, 1961/9/19, 1p. 1028. 《新生製蔴股份有限公司》(Proposal for Construction of a Steel Plant)N.M. Lin to Val, 1960/1/12, 19p. 1029. 《Letter》K.Y. Yin ( CUSA) to Val, 1959/10/6, 1p. 1030. 《Letter》K.T. Li ( CUSA) to Val, 1960/5/23, 1p. 1031. 《Letter》K.T. Li ( CUSA) to Val, 1959/2/28, 2p. 1032. 《Letter》Fred to Connie & Val, 1960/1/22, 1p. 1033. 《Letter》Fred (Kaohsiung Ammonium Sulfate Corporation) to Connie & Val, 1959/9/22, 1p. 1034. 《Letter》Lee Yuan Development to Val, 1953/12/20, 2p. 1035. 《Letter》Taiwan Alkali Co. Chao-yu Cheng to Val, 1960?? ?, 1p. 1036. Val’s manuscrips JBD 1952/12,3p. 1037. 《Letter》T.S. Lin(Tatung Engineering Co.) to Val, 1960/9/15, 1p. 1038. 《Letter》P.Y. Hsu(Goodwill and Economic Mission) to Connie, 1964/11/7, 1p. 1039. 《Letter》Val to J.H. Moore, 19?? ?, 1p. 1040. 《Letter》William Wei to Val, 1967/5/20, 1p. 1042. 《Letter》K.T. Li ( CUSA) to Val, 1962/4/9, 2p. 1043. 《Letter》T.S. Lin(Tatung Engineering Co.) to Val, 1958/7/7, 2p. 1044. 《Confidential Letter》Fred C. Wong(Kaohsiung Ammonium Sulfate Corporation) to Connie & Val, 1959/2/24, 3p. 1045. 《Letter》S.W. Chen (Hsinchu Window Glass Works) to Val, 1958/4/7, 1p. 1046. 《Letter》Y.C. Yang ( Taiwan Fertilizer Co.) to Val, 1962/5/29, 1p. 1047. 《Letter》Joseph H. Moore to Val, 1967/2/15, 1p. 1048. 《Letter》Joseph H. Moore (CIECD Engineering Consulting Group) 返台建議行程含電報 to Val, 1967/7/10, 7p. 1050. 《Letter》to C.C. Shao, broken materials, 1955/11/22, 1p. 1051. 「FTO’s Balance of Payments’ Projections」P.A. Lewis to Jones, Official Use Only, 1956/7/24, 4p. 1052. 「Some of the Organic Chemical Industries to be developed in Taiwan」沒有日期，共2p. 1053. 「Industrial Development Plan 1954-57—Chemical」Draft, 1955/5/16, 6p. 1054. 「Project Report Information」 R.C. Smith to Bruce Buchanan, 1958/4/9, 4p. 1055. 《Letter》Bruce Buchanan to R.C. Smith, 1958/3/5, 1p. 1056. 《Letter》Cheng Mo Sun to de Beausset (Taiwan Engineering Service Co.) , 1967/8/8, 2p. 1057. 「Re Comments on 『Projection of the 1957-60 Industrial Program』and 『A First Estimation of the Souce of Capital for the Implementation of the 1957-60 Industrial Program』」1956/2/25, 2p. 1058. 「Approved U.S. Dollar and Counterpart Fund Aid Projects」FY 1957, 3p. 1059. 「Summary of Projects」（回國前報告）de Beausset to General Kiang（江）1957/8/9, 25p. 1061. 《Letter》C.M. Adams( Caterpilar Tractor Co.) to de Beausset, 1957/6/18, 1p. 1062. 《Letter》Bruce Buchanan to K.T. Li, 1960/2/8, 1p. 1063. 《Letter》W.H. Fei to R.C. Smith, 1959/9/22, 1p. & K.T. Li to R.C. Smith, 1959/9/23, 1p. & K.T. Li to R.C. Smith, 1959/10/9, 1p. Paul J. Glassen to whom it may concern, 1959/12/31, 1p. 1064. 《Letter》Richard C. Morse to Val (de Beausset), 1960/2/18. 2p. 1065. 《Letter》Wm. E.Almy to Val (de Beausset), 1960/3/18. 2p. 1066. 《Letter》Joe Moore to Val (de Beausset), 1960/12/20. 2p. 1067. 《Letter》Val (de Beausset) to Fred, 1958/11/27. 4p. 1068. 《Letter》Richard C. Morse to Val (de Beausset), 1958/12/13. 2p. 1069. 《Letter》??? to Val (de Beausset), 1957/11/20. 2p. 1070. 《Letter》C. C. Yang to Val (de Beausset), 1959/10/26. 1p. & K.T. Li to R.C. Smith, 1959/10/23, 2p. 1071. 《Letter》C. C. Yang to Val (de Beausset), 1958/5/17. 2p. 1072. 《Letter》Richard C. Morse to Val (de Beausset), 1959/3/7. 4p. 1073. 《Letter》C. C. Yang to Val (de Beausset), 1958/2/18. 2p. & C. C. Yang to R.C. Smith, 1958/2/14, 2p. 1075. C. C. Yang to whom it may concern, 6p. 《Letter》W.B. Scott & N. Abu-Nassar (台灣飛歌) to C. C. Yang, T.J. Tsevdos (RCA) to C. C. Yang, K.D. Lawson (RCA) to C. C. Yang. 1076. T.S. Tsiang (行政院農業委員會) to Val (de Beausset), 1986/10/29.1p. 1077. 《Letter》Joe Moore to Val (de Beausset), 1986/11/18. 2p. 1078. 《Letter》Y.S. Sun to Val (de Beausset), 1987/5/17. 1p. 1079. 《Letter》Hui Huang (PECL泰興) to Val (de Beausset), 1986/10/15. 1p. 1080. 《Letter》Val (de Beausset) to Hui Huang (PECL), 1987/4/13. 1p. 1081. 《Letter》Ray S. Cline (US Grobal Strategy Council) to Val (de Beausset), 1990/9/18. 1p. 1082. 《Letter》H.T. Wung to Val (de Beausset), 1988/8/17. 14p. 1083. 《Letter》Monxovia to Val (de Beausset), 1963/5/5. 4p. 1084. 《Letter》Les. Lloyd to Val (de Beausset), 1958/2/23. 2p. 1085. Commens on 1955 Time Distribution Sheets Taiwan Field Office (Draft) 1959/3/25, 4p. 1086. Marjorie H. Martin, Dear Midge 1984/2/6, 5p. 1087. Progress of Work of Industrial Development Commision During the Period January 1955—December 1955 (Subject Discussed at IDC Meeting) 49p. 1088. 《Bi-Monthly Economic Review》No.47，Sep.-Oct. 1955, 19 pages. 1089. 《Bi-Monthly Economic Review》No.52，July-August 1956, 22 pages. 1090. 《Letter》Walter Carr to S.H. Manian, 1956/12/19. 5p. 1091. The Nankong Fertilizer Plant Project, 1954/12/20, 4p. 1092. Urea Plant Project, Walter Carr to Val, 1956/7/25, 2p. 1093. Taiwan Fertilizer Company, Ltd. Fertilizer Plant No.6 Project No.84-23-046 (c), Walter Carr to Val, 1956/7/30, 3p. 1094. Nankong Fertilizer Plant Project, E.T. Layng (Hydrocarbon Research, Inc.) to Chi-teh Ling, cc: 10 persons, 1956/5/15, 5p. 1095. E.T. Layng (Hydrocarbon Research, Inc.) to Chi-teh Ling, cc: 2 persons, 1956/4/23, 2p. 1096. E.A. Kelly (Hydrocarbon Research, Inc.) to Chi-teh Ling, Job No. 104, Estimated Plant Costs, 1956/7/25, 3p. 1097. Curtis C. Balding (Hydrocarbon Research, Inc.) to Chi-teh Ling, Job No. 104-30, Vendors’ Specialists for Nankong Fertilizer Plant, 1956/4/24, 2p. 1098. E.D. Miller (Hydrocarbon Research, Inc.) to Chi-teh Ling, Job No. 104, 1956/7/27, 4p. 1099. Montecatini Talks About Spencer Urea Plant, Chemical Engineering, 1959/01/26, p45~46. 1100. S. H. Manian (International Cooperation Administration) to Bruce Buchanan (J. G. White Engineering Co.), Nankong Fertilizer Plant Project, 1956/12/5, 3p. 1101. de Beausset’s manuscrip, Invenction for Record, 1952/12/5, 1p. 1102. de Beausset’s manuscrip, 1953/1/3, 2p. 1103. de Beausset’s manuscrip, 1953/1/4, 1p. 1104. 《Letter》S. Y. Liu to Val (de Beausset), 1957/11/1. 3p. 1106. Economic and Technical Cooperation Agreement Between the Government of the United States of America and the Government of the Union of Burma. P81~85. Exchange of notes Between the Government of the United States of America and the Government of India. 1950/9/29, P86~88. Letter of Intent from the Government of Vietnam Pending Execution of an Agreement on Economic Assistance. 1950/10/28. 1p. Economic and Technical Cooperation Agreement Between the Government of the United States of America and the Government of the Republic of Indonesia. P90~94. 1108. The Literature of Freedom; A Free Market, p23~33. 1109. B. Bytell to V.S. de Beausset, Subject: Engineering Consulting Services Performed by White Engineering, 1956/4/12, 2p. 1110. 《Letter》Td to V.S. de Beausset, 1957/5/21, 1p. 1111. 《Letter》B. Bytell to V.S. de Beausset, 1957/4/22, 2p. 1112. 《Lette》Dudley F. Phelps (J.G. White’s President ) to V.S. de Beausset, 1957/8/8, 1p. 1113. 《Letter》Henry P. Finlay to V.S. de Beausset, 1956/10/1, 3p. 1114. 《Letter》V.S. de Beausset to Walter Carr (J.G. White’s Vice President ), 1957/3/15, 1p. 1115. 《Letter》E.N. Chilson to V.S. 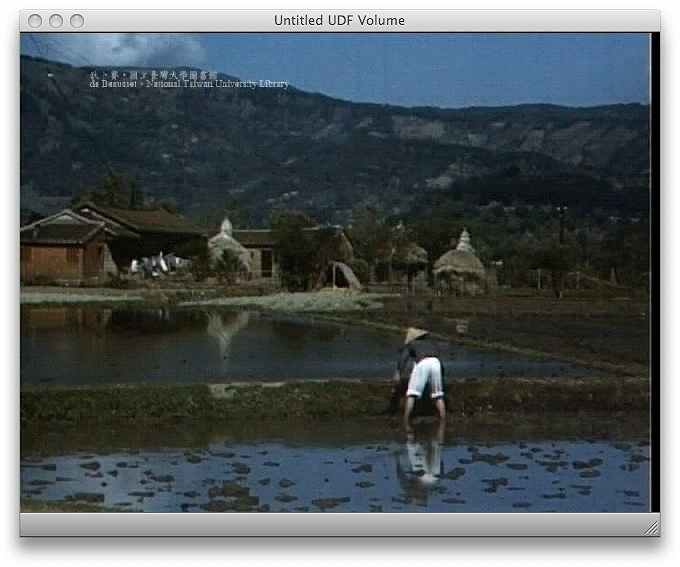 de Beausset (含員工的獎金明細表), 1955/12/15, 4p. 1116. 《Letter》E.N. Chilson to V.S. de Beausset, 1956/12/14, 1p. 1117. 《Letter》B. Bytell to V.S. de Beausset, 1956/12/3, 1p. 1118. 《Letter》James B. Pilcher (The Foreign Service) to V.S. de Beausset, 1957/2/11, 1p. 1119. 《Letter》 Sieh Fung Tsiang to V.S. de Beausset, 1956/1/15, 2p. 1120. 《Letter》W.W. Clarke to V.S. de Beausset, 1956/8/29, 3p. 1121. 《Letter》Walter Carr to V.S. de Beausset, V.S. de Beausset to Walter Carr, 1956/7/12, 2p. 1122. 《Letter》??? to Harry, 1956/8/7, 1p. 1123. 《Letter》V.S. de Beausset to Dudley F. Phelps, 1957/8/2, 4p. 1124. 《Letter》Walter Carr to V.S. de Beausset, 1957/6/17, 1p. 1125. 《Letter》Henry P. Finlay to V.S. de Beausset, 1957/5/31, 1p. 1126. 《Letter》E.N. Chilson to V.S. de Beausset, 1957/5/24, 1p. 1127. 《Letter》V.S. de Beausset to E.N. Stanton, 1957/5/4, 1p. 1128. 《Letter》E.C. Martin to V.S. de Beausset, 1952/9/11, 2p. 1129. 《Letter》Walter Carr to V.S. de Beausset, 1955/3/31, 1p. 1130. 《Letter》Walter Carr to V.S. de Beausset, 1957/3/6, 1p. 1132. Taiwan (Formosa) Road Map. Prepared by the Army Map Service(AM), Corps of Enginers, U.S. Army, Washinton, D.C. 1950. 1133. Nick Cullather (Indiana University). The J.G. 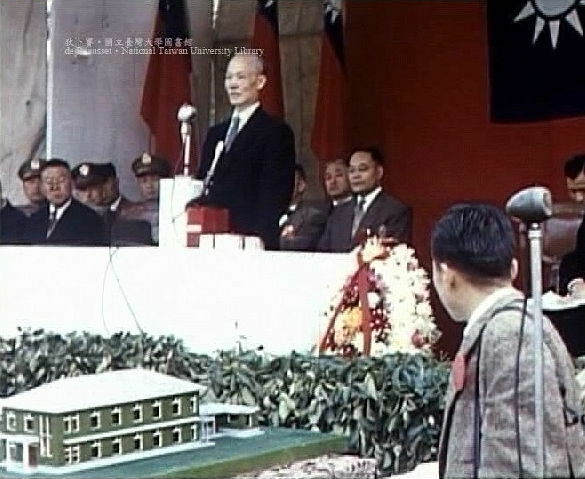 White Engineering Corporation and the Industrialization of Taiwan, 1948~1962, which he had presented at the international conference on ‘Taiwan on the Move’ at National Central University, Chungli, Taiwan, April 8-9,1996. 1136. China Handbook (1953-54) Shen Chang-huan (signed) to V. S. de Veausset, 1953/12/30, 627p. 1137. I.de Beauclair (Academia Sinica) to Mrs. C. de Beausset, 1959/7/20, aerogramme. 本文發表於 2007-09-02 at 11:38 上午 且歸類為 台灣, 林炳炎, 美援, 軍事占領. 你可以發表回應於 RSS 2.0 feed. 你可以 留下回應, 或 自你的網站引用. 凱劭真厲害, 能把這棟名宅找出來, 有名字與背景對大家而言才能體認到歷史變遷, 我們很多珍貴的東西都消失, 透過這DVD我們才能去追尋過去的影像, 懷念過去曾經有的文物, 也才能珍惜台灣. 凱劭已經幫我把5張寫真貼出來, 這樣就可以發EMAIL給麗泰, 讓她們家知道, 在台灣還是繼續有人努力要幫她們父母發聲, 而非台大所能阻礙的. 感嘆晚生後知後覺,現在才看到這麼多珍貴的照片!Thanks to Sir, Mr. V.S. de Beausset. 用「Iron and Steel」在檔案資源整合查詢平台 ，也就是說dB 869. 《Iron and Steel—Hainan Ore》Apr.18,1950,2p. In case you have not heard this Development Experience Clearinghouse (database) of USAID. 例2: the report of 1962, it was about Taiwan.